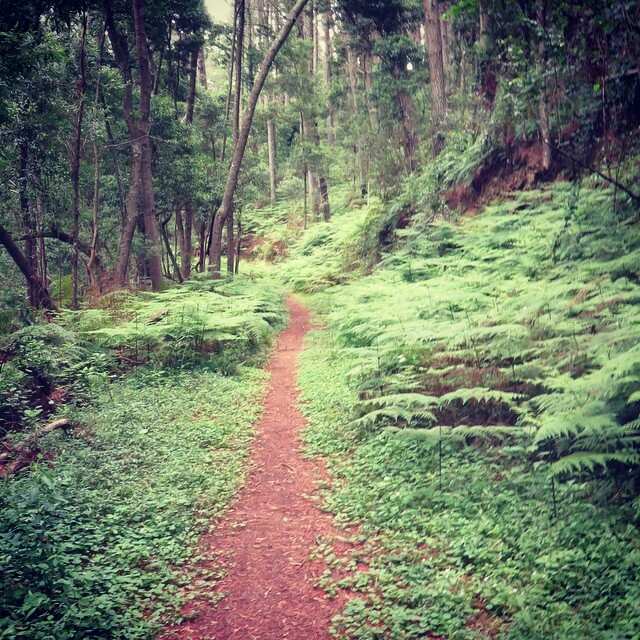 It may be a stretch to classify Coffee Bay as a “town” (it is tiny), but our list would not be complete without it. Nguni cattle graze freely on rolling green hills which abruptly end to meet the ocean. Coffee Bay is located on the “Wild Coast”, which is completely untouched by industrial development and breathtakingly beautiful. 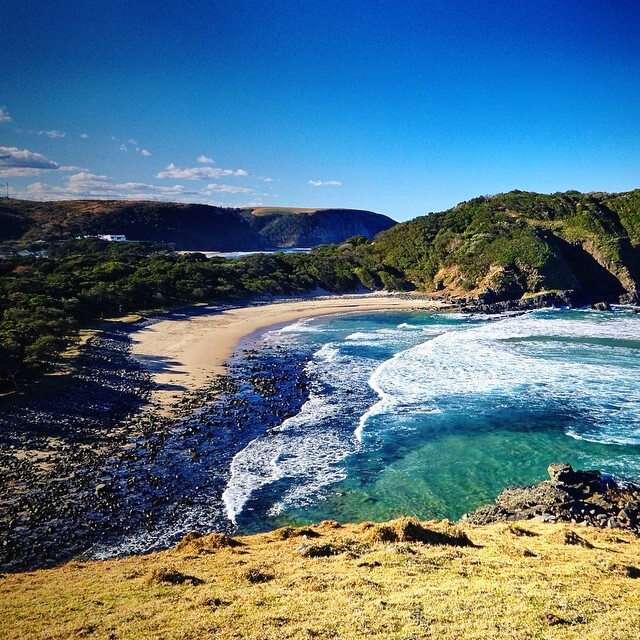 The Hole in the Wall is one of South Africa’s most famous tourist attractions and Mdumbi beach has been voted one of South Africa’s best beaches. 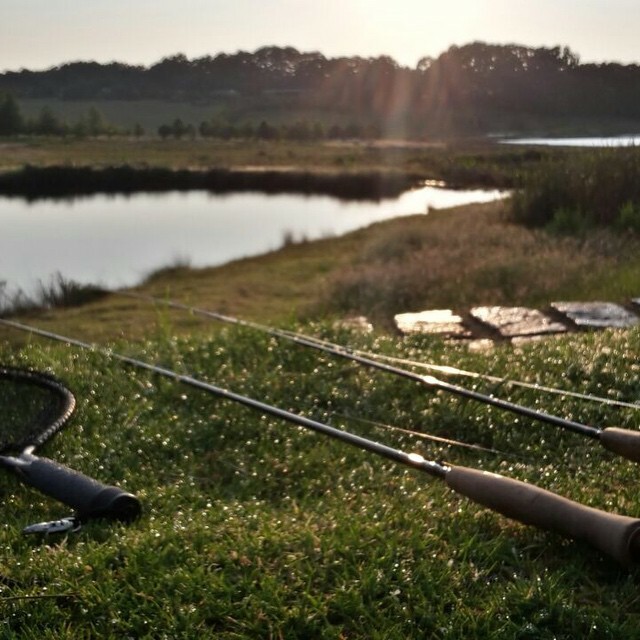 Fresh air, tranquility, magnificent scenery and the unofficial title as South Africa’s premier flyfishing destination make this village the perfect getaway and a shoo-in on our list. 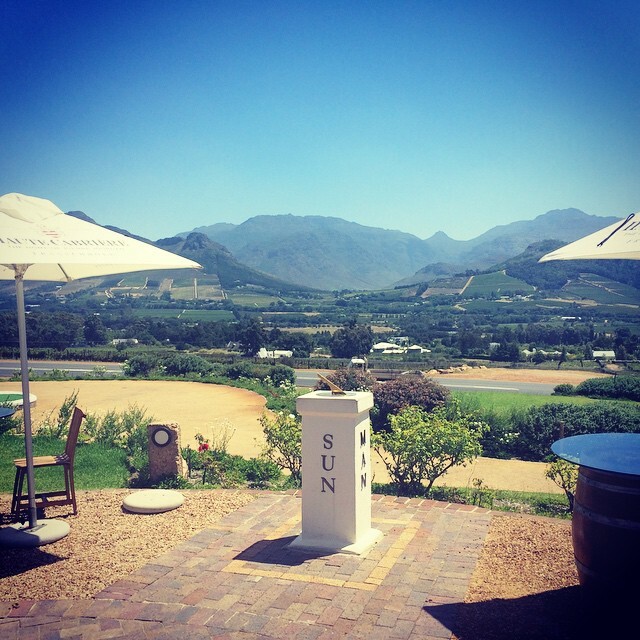 Known as the good food and wine capital of South Africa, this scenic gem never disappoints. Its dramatic mountains, fusion of French and Dutch architecture and laid-back atmosphere has visitors returning time-and-time again. 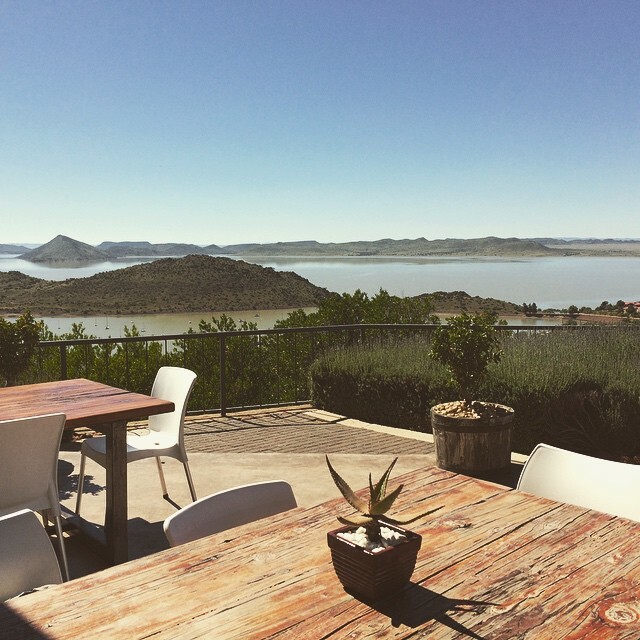 Many motorists travelling through the Free State pass this gem by without giving it a second thought, but anyone who has woken up to the sunrise from the De Stijl hotel, which overlooks the dam, will forever understand why this inconspicuous village made our list. 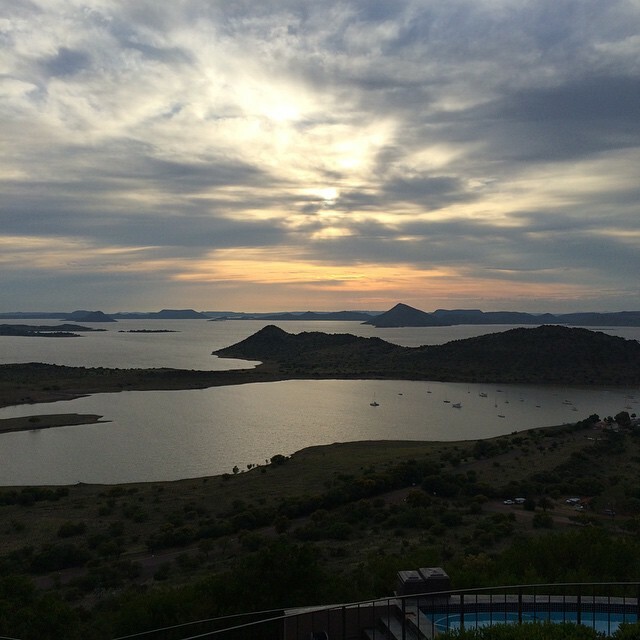 The many islands and bays are reminiscent of a Mediterranean archipelago, made all the more spectacular against the backdrop of the Free State’s plains. The de Stijl Gariep hotel. 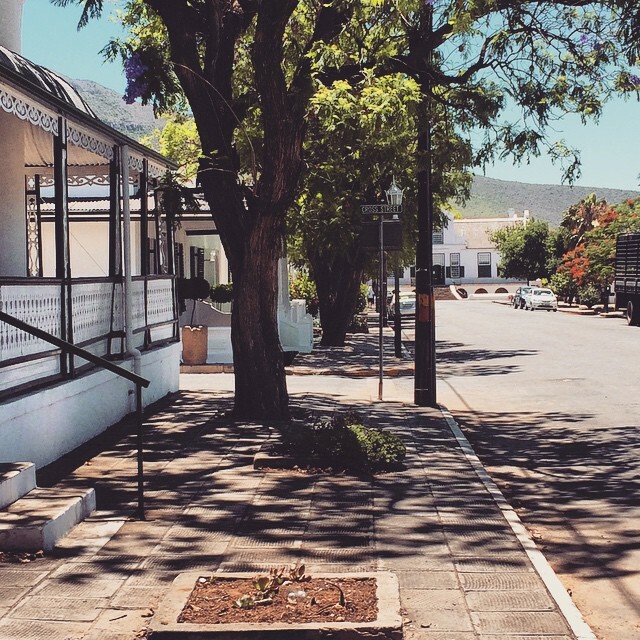 Graaff Reinet is South Africa’s fourth oldest town, and arguably one of its most beautifully-preserved. The hometown of one of South Africa’s greatest industrialists and philantropists, Anton Rupert, the town boasts leafy streets and a treasure trove of quaint restaurants and cafés. 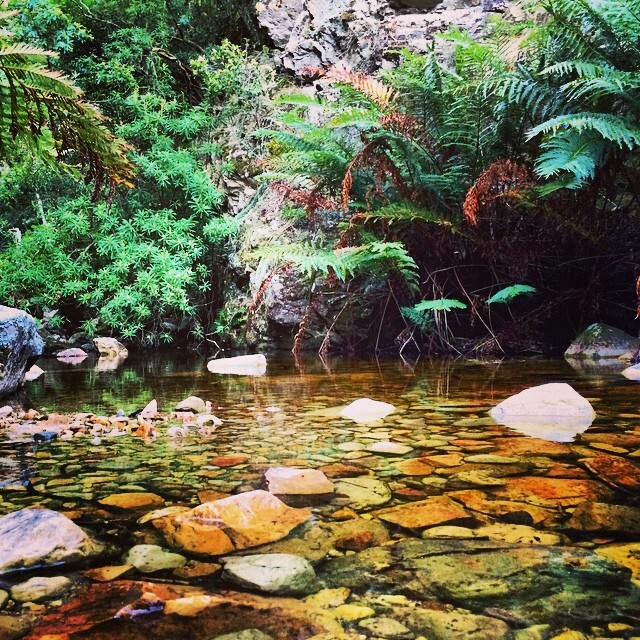 Camdeboo National park and the Valley of Desolation, just outside town, is a wonderland of scenic contrasts. 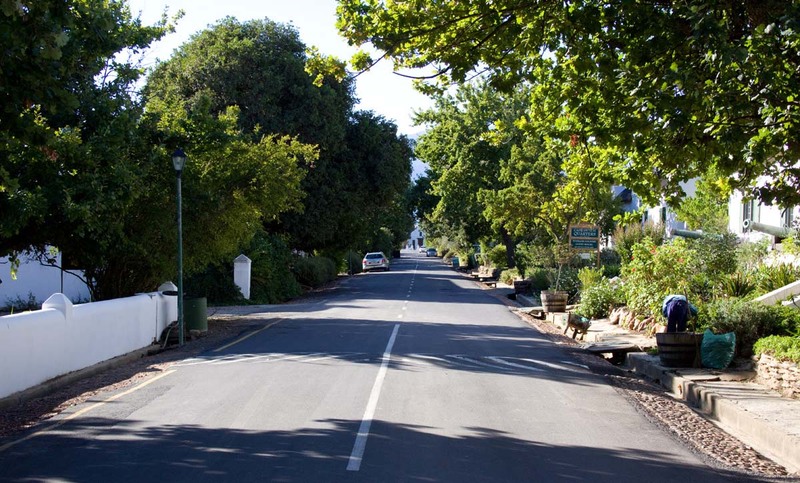 Little more than an hour’s drive from Cape Town is the picturesque village of Greyton. Founded in 1854, visitors can unwind and step back in time as they stroll through the village’s oak-lined lanes, past free-roaming cows and donkeys. 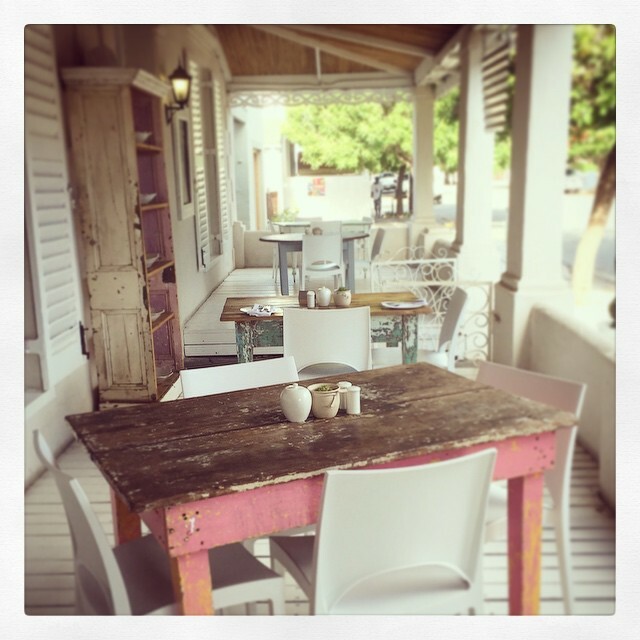 Calming scenic beauty coupled with excellent restaurants and cafés make Greyton a favourite on our list. 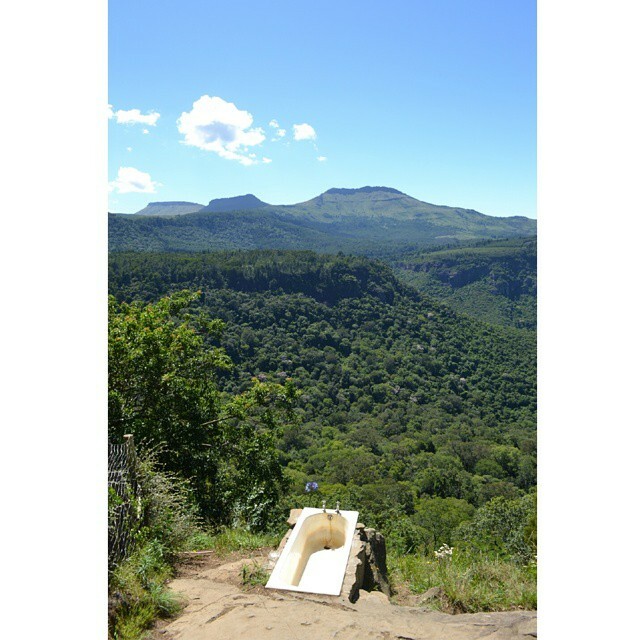 Legend has it that Hogsback was the inspiration for the worlds J.R.R. Tolkien created in his “Lord of the Rings” and “The Hobbit” books. There is something undoubtedly magical about this village. 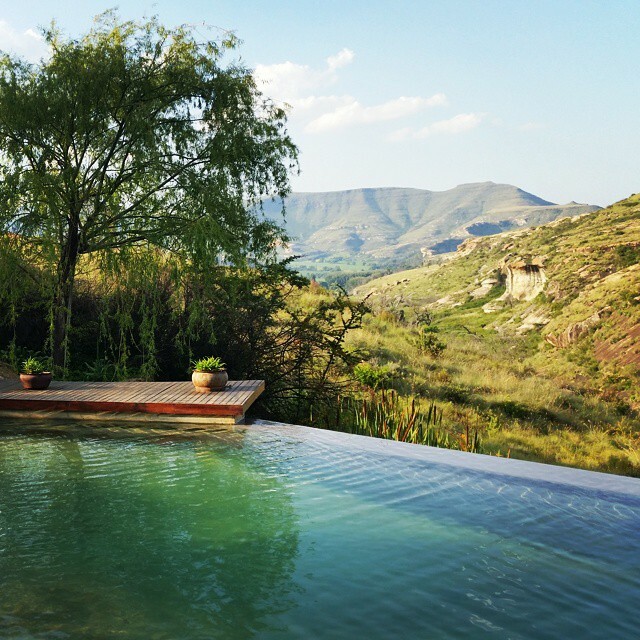 The road leading to it winds steeply through lush green forests until the small town reveals itself perched atop the Amathole mountains. 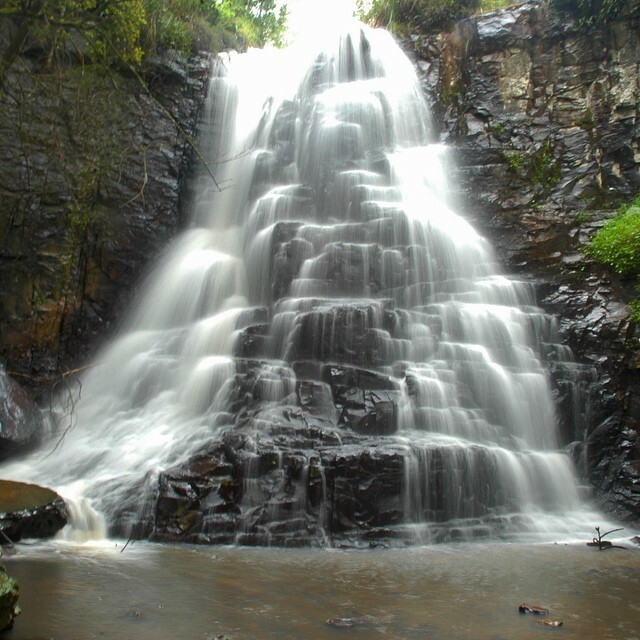 With regular snowfall in winter and its pristine forests, the town of Hogsback can confidently claim to be one of the most picturesque towns in South Africa, if not the world. 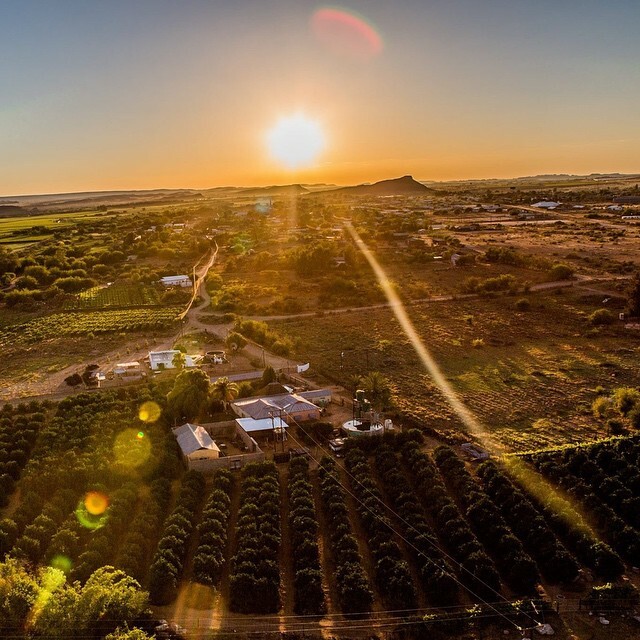 Vineyards stretch as far as the eye can see and line the majestic Orange river as it works its way through the town of Kakamas. 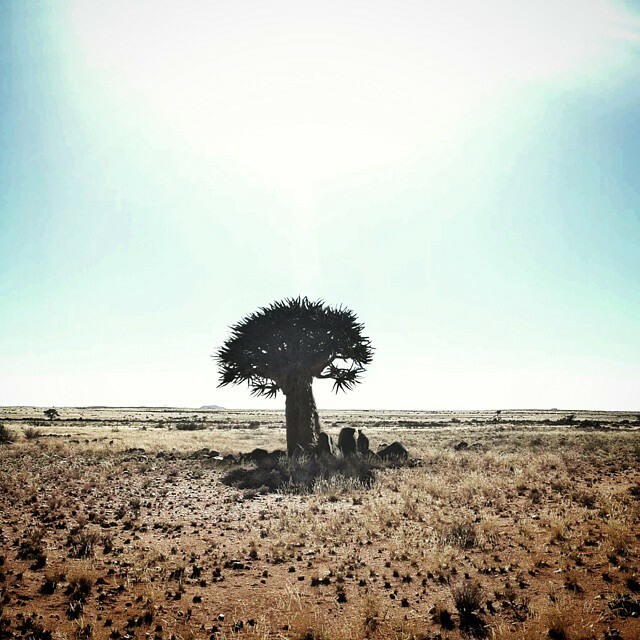 The abundance of water (thanks to the river and a labyrinth network of canals), grand-scale vineyards, deep-blue African skies, quiver trees, wide-open landscapes and starry nights all combine to create this gem in the Kalahari. 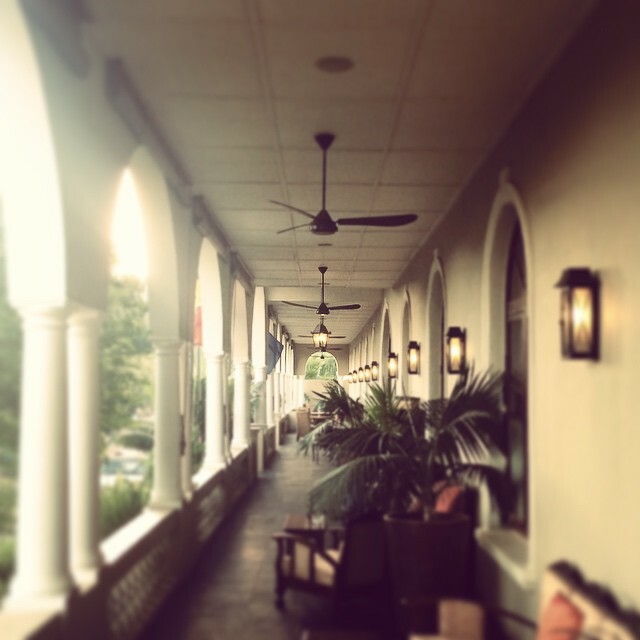 Friendly, hospitable, down-to-earth people ensure that visitors are treated like royalty. 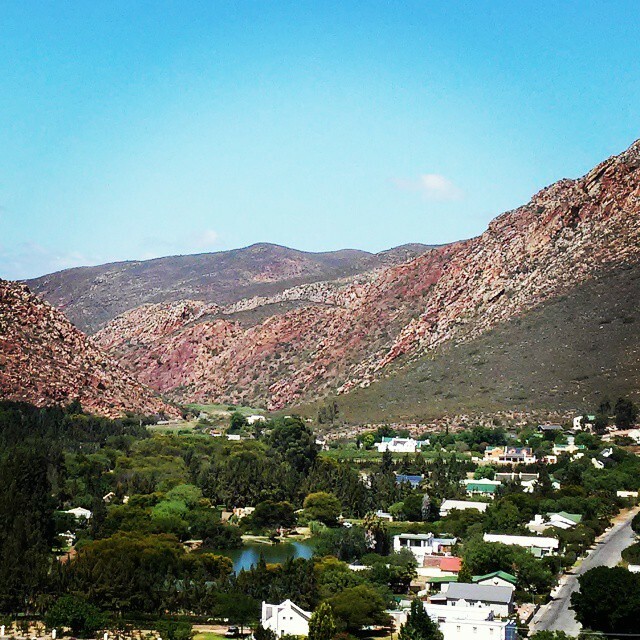 At the foot of the Langeberg mountains on the eastern edge of the Cape Winelands, lies the charming village of Montagu. The town has an old-world charm, great restaurants, a vibrant Saturday market and superb guest accommodation which caters for every budget. Whether visiting for a weekend of fun with the kids, relaxing with friends or a romantic breakaway with a loved one, Montagu will not disappoint. Voted “Town of the year” by CapeInfo.com in 2012. 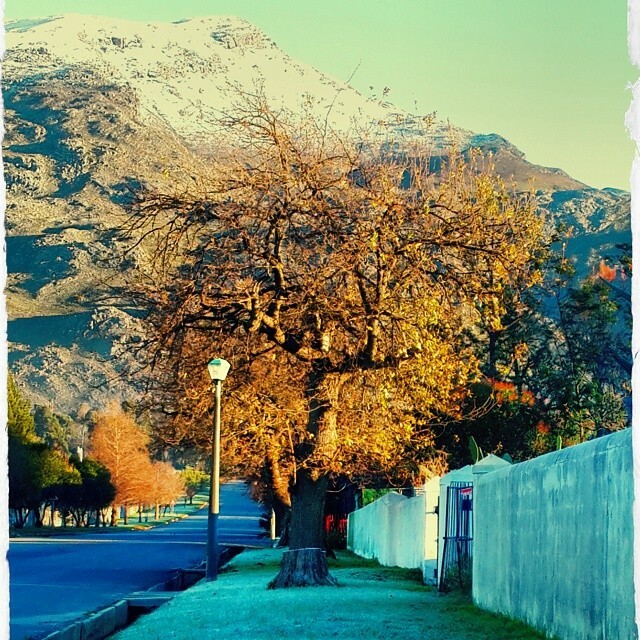 This tiny village at the foot of the Sneeuberg is a favourite amongst artists and writers. 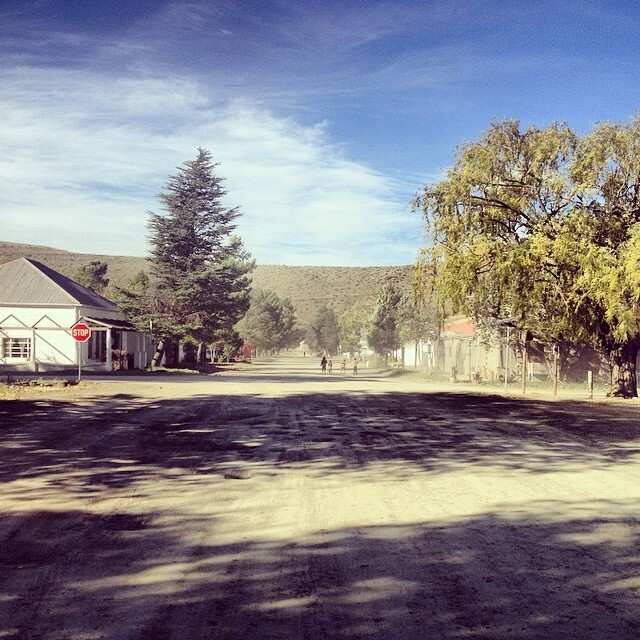 The village gained popularity thanks to Athol Fugard’s acclaimed play, The Road to Mecca, which tells the story about the Owl House and Helen Martins, its reclusive and eccentric former inhabitant. 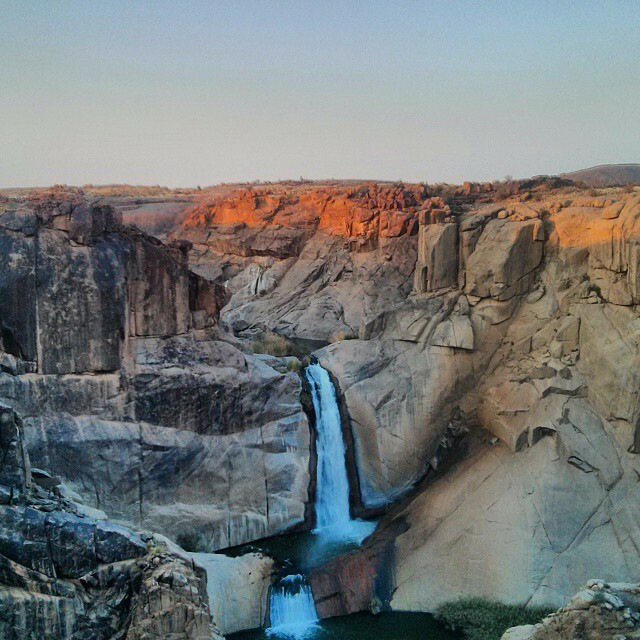 One of the most interesting places in South Africa, if not the world. 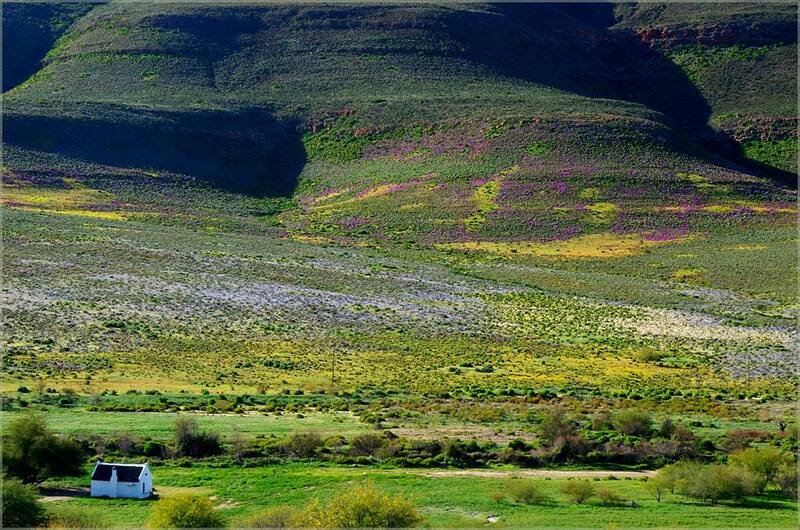 Nieuwoudtville is known for the springtime bloom of wild flowers which results in explosions of vibrance of colour. However, this town is worth visiting all year round as it has all the natural beauty, peace, quiet and genuine hospitality anyone can ask for. 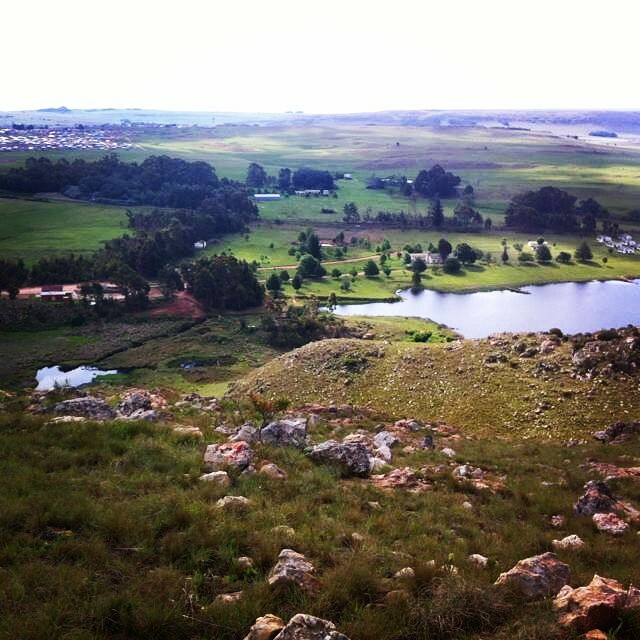 In the rolling green hills of KwaZulu-Natal lies the charming village of Nottingham Road. An art-lover’s paradise, Nottingham Road has country charm and an abundance of natural scenic beauty. 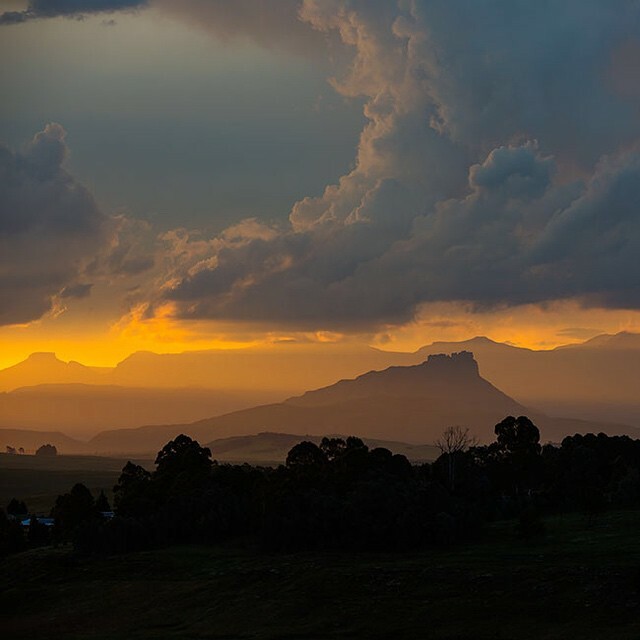 It lies at the heart of the Midlands Meander, where visitors are welcomed into the studios of some of South Africa’s best-known artists, craftsmen and sculptors. The site of Nelson Mandela’s capture, which eventually led to his 27-year imprisonment, is 30 minutes’ drive away. A living museum which offers an insight into the gold rush at the turn of the 20th century, the entire town has been declared a national monument. 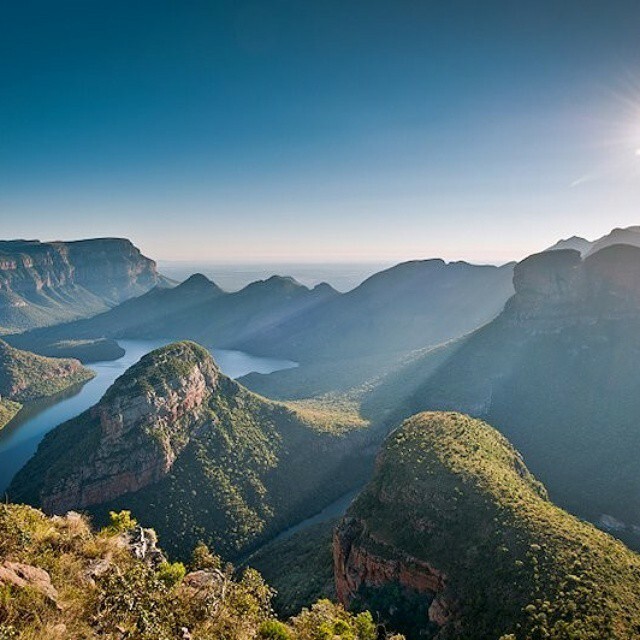 As much as the town itself is interesting and quirky (don’t miss the Royal Hotel’s Church bar, which was transported from Cape Town to Pilgrim’s rest, via Maputo, by sea and ox-wagon), the town is on Mpumalanga’s picturesque Panorama route, which boasts some of the most majestic scenery on earth. Everyone should see the view from God’s Window at least once in their lives. 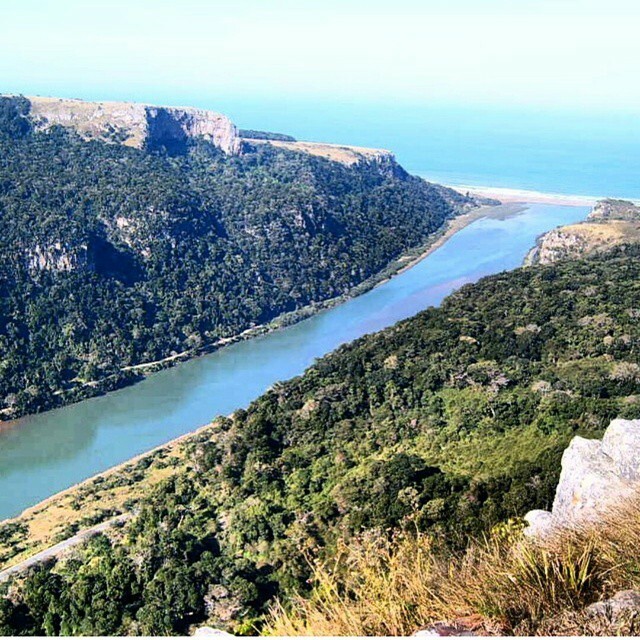 Port St. Johns is touted as the “Jewel of the Wild Coast” on account of its subtropical climate and completely untainted natural environment. 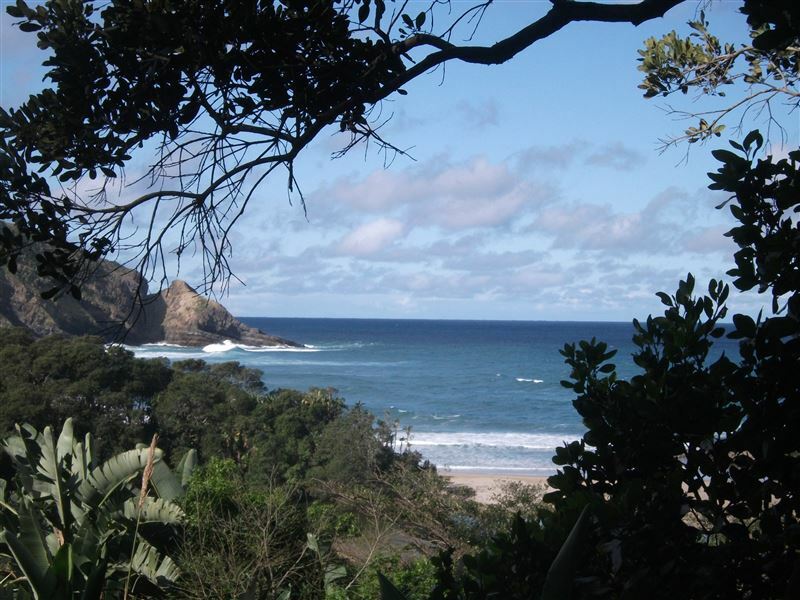 Similar to Coffee Bay, Port St. Johns is adorned by numerous secluded beaches and hectares of dense forest. This is rural Africa at its best. 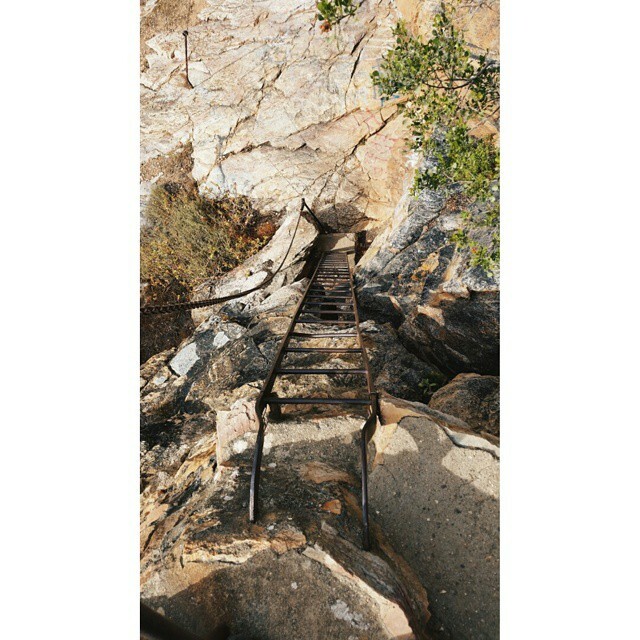 Prince Albert lies in a picturesque fertile valley on the edge of the great Karoo on the one side and the Swartberg mountains on the other. 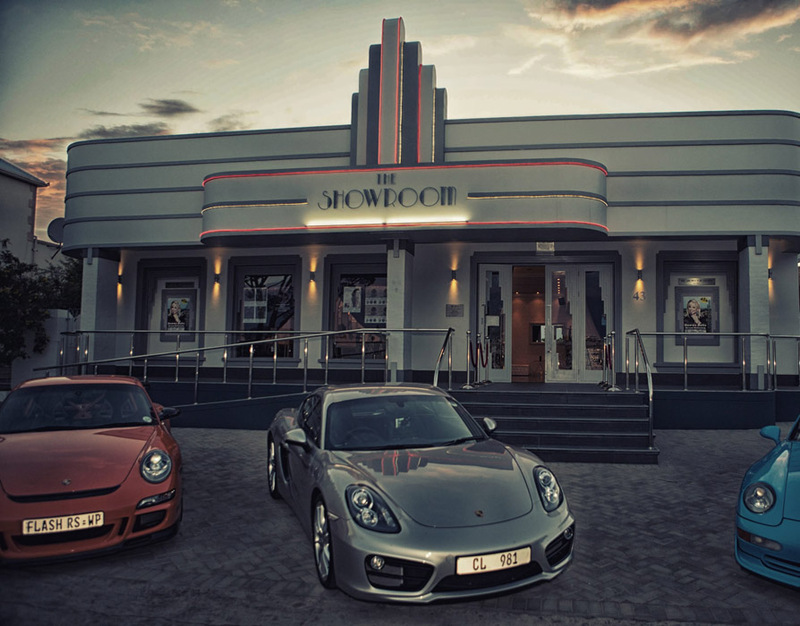 The legendary Showroom theatre, with its Art Deco architecture, attracts many well-known artists to the small town and visitors can choose from many good-quality restaurants, guest houses and art galleries. 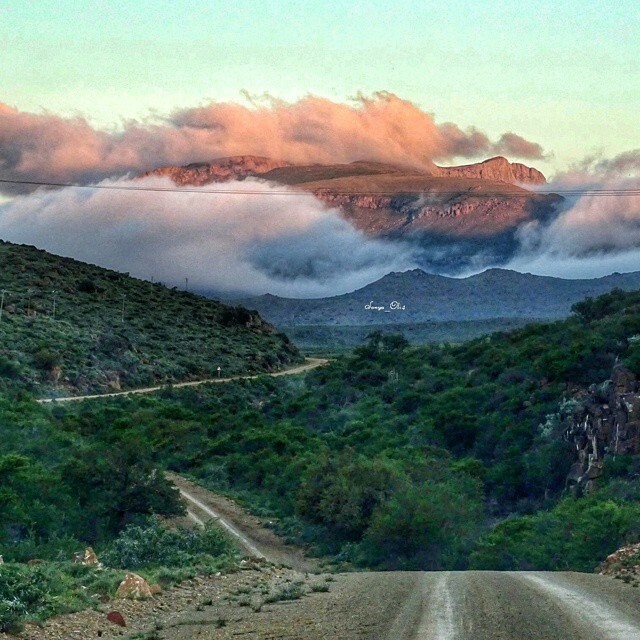 The spectacular Swartberg pass, one of the most dramatic and scenic mountain passes on earth, starts just outside town. 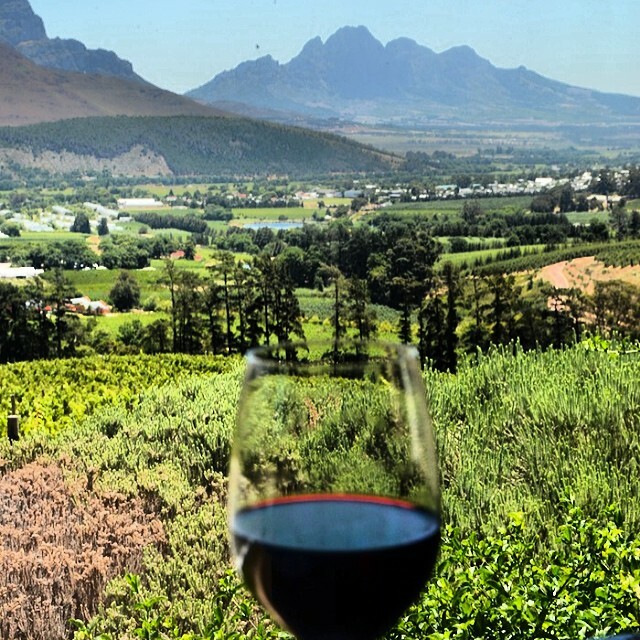 Want a food and wine lover’s paradise in the Cape winelands without the crowds or exorbitant prices? 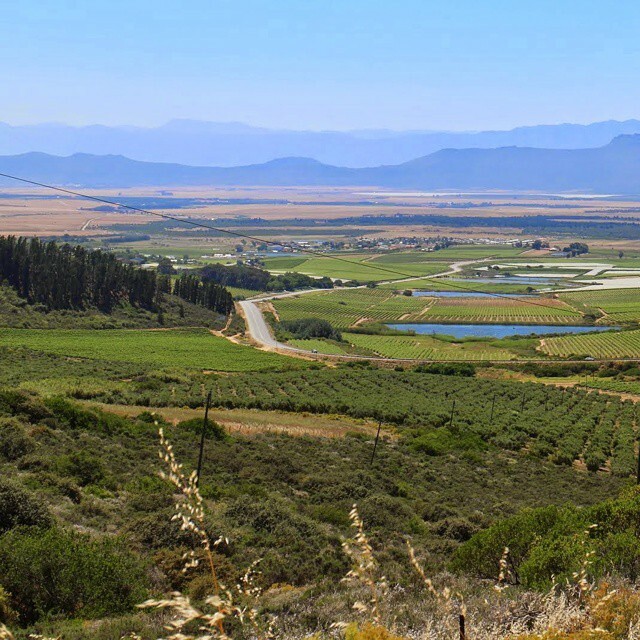 Look no further than Riebeek-Kasteel. Try the French-Italian inspired country cuisine at Café Felix, the beautifully presented comfort food at Bar Bar Black Sheep Restaurant and a late afternoon gin and tonic on the verandah of the Royal Hotel. 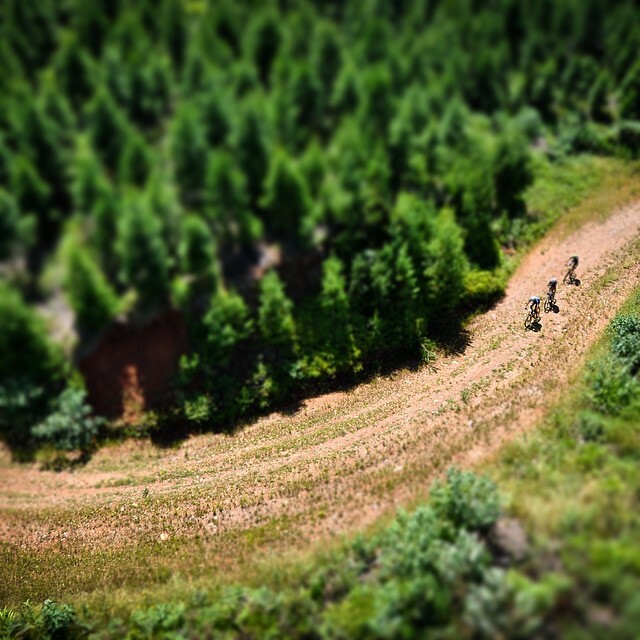 Sabie and its surrounds is a paradise for nature lovers and adventure seekers. 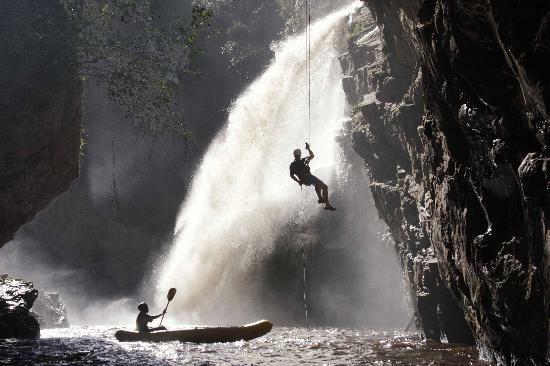 Game viewing, hiking, fly fishing, white-water rafting, rock-climbing & abseiling are only some of the activities on offer. 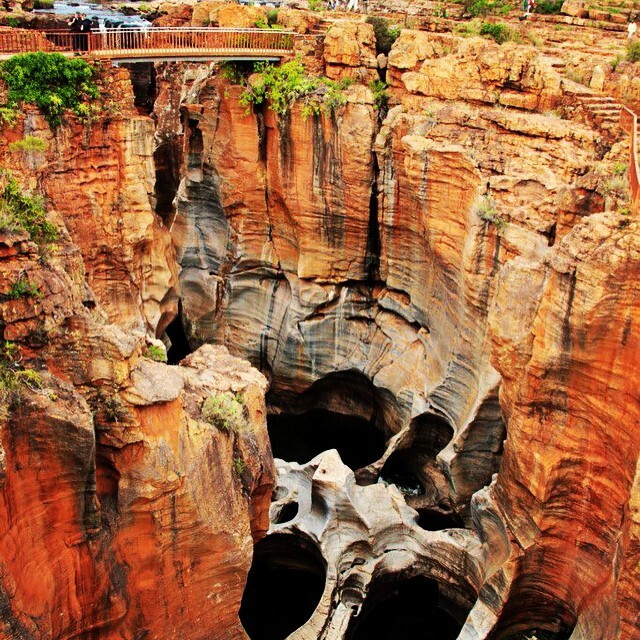 Add to that the majestic scenery on the Panorama route and the fact that day trips to the Kruger National Park can easily be made from town. Named “Town of the Year” by Rapport and Kwêla in 2012. St. Lucia’s iSimangaliso Wetland Park became the first South African World Heritage Site in 1999. 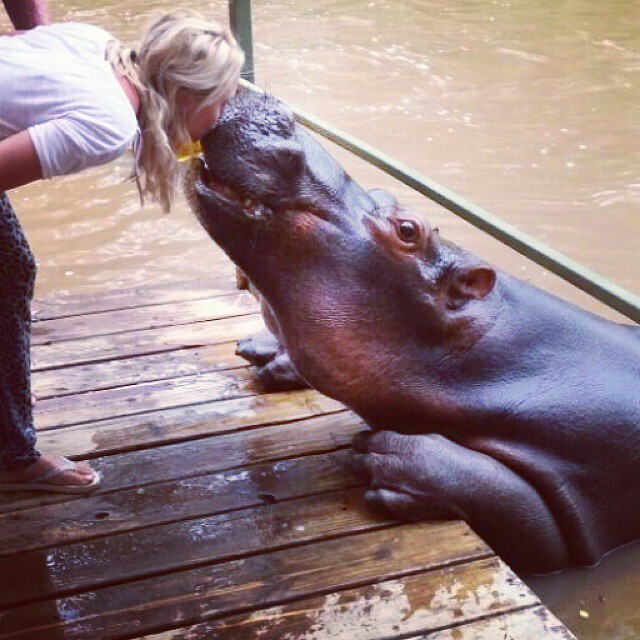 Wild and largely unspoilt (hippopotami roam the streets at night), nature lovers can marvel at the area’s large populations of hippos, crocodiles and other wildlife. 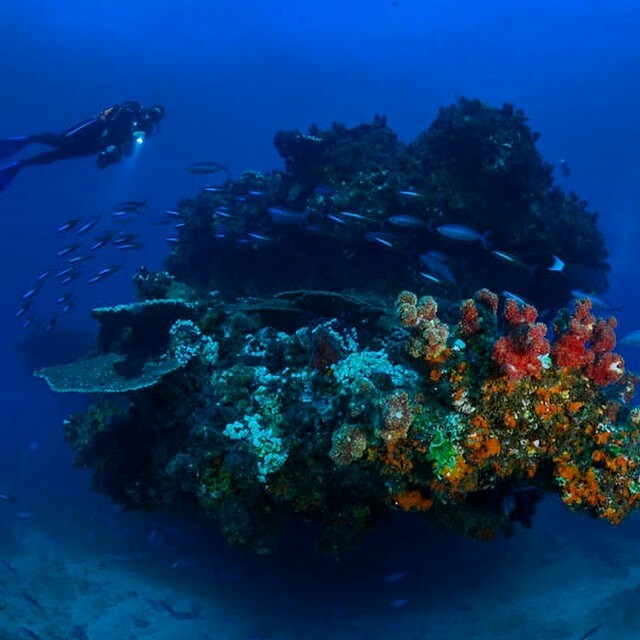 Apart from the wetlands areas, the area also offers pristine beaches and sensational scuba diving. Only a few hours’ drive from Cape Town is one of the coldest places in South Africa, Sutherland. As much as it may be known for its cold winters, it offers year-round warm hospitality, wide-open spaces, peace and quiet. 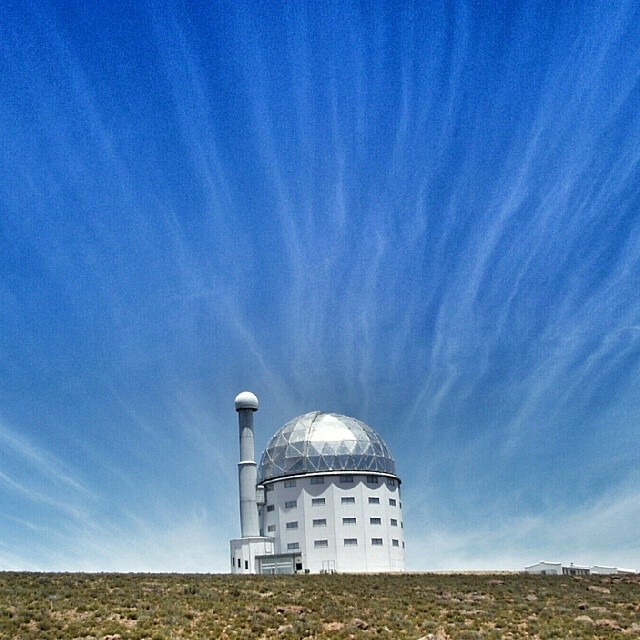 With very little light pollution, it is known as the star-gazing capital of South Africa. 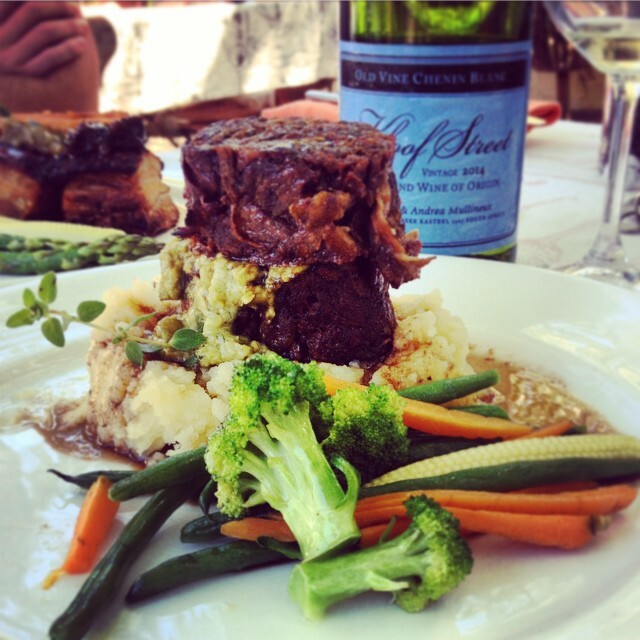 Don’t miss the lamb shank at Cluster d’Hote restaurant. 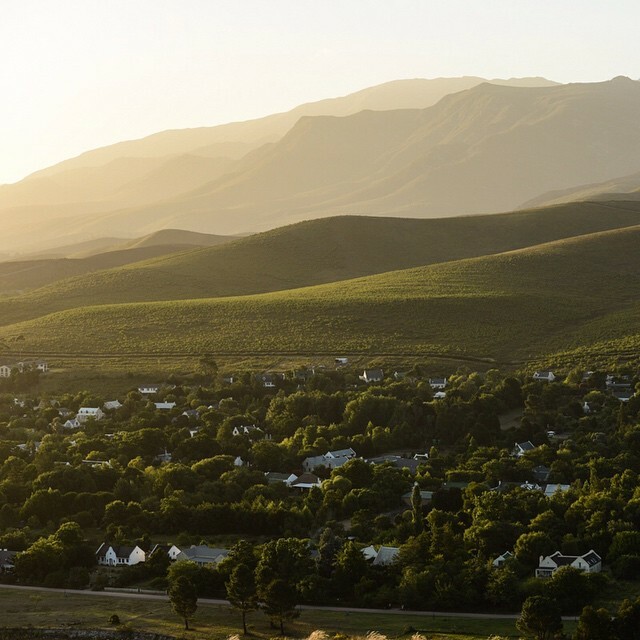 Bordered by mountains on three sides and located in a fertile, serene, wine-producing valley, Tulbagh is a hidden gem. 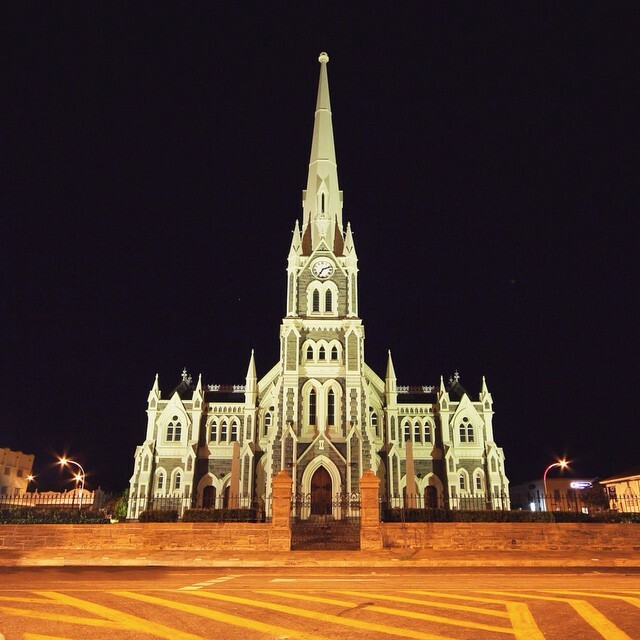 The town is one of South Africa’s oldest (the first farmers settled here in 1700) and in Church Street visitors will find the highest concentration of national monuments in the country (32). The nearby Matroosberg reserve is known for its snowfall during winter and Saronsberg Wine Estate produces some of South Africa’s best wines. 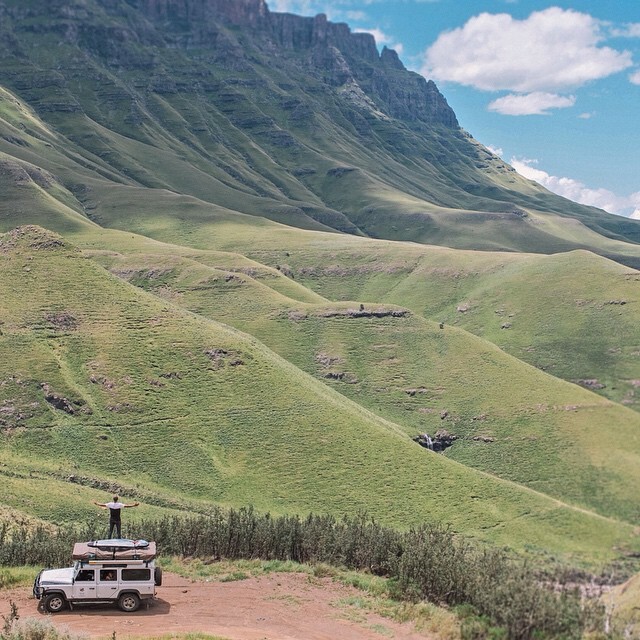 With the Sani Pass, the mountain kingdom of Lesotho and uKhahlamba/Drakensberg park (declared a World Heritage Site in 2000) on its doorstep, Underberg is known as the gateway to the southern Drakensberg. It is also a popular destination for fly-fishing. 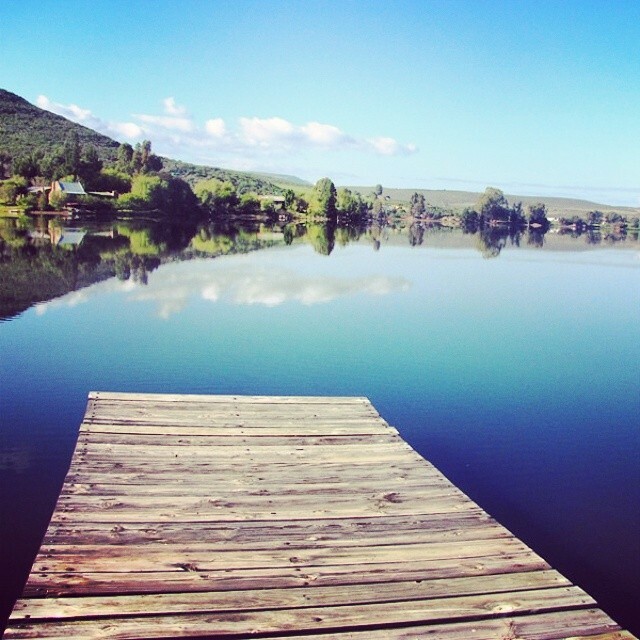 Located in a fertile valley cradled by mountains, the town of Villiersdorp is as charming as you’ll ever visit. The quiet streets are lined with storm water trenches and oak trees as well as beautifully maintained gardens and old houses, giving the town a lovely country feel. Getting there is a pleasure, with four spectacular mountain passes to choose from (The Franschhoek pass is particularly breathtaking). 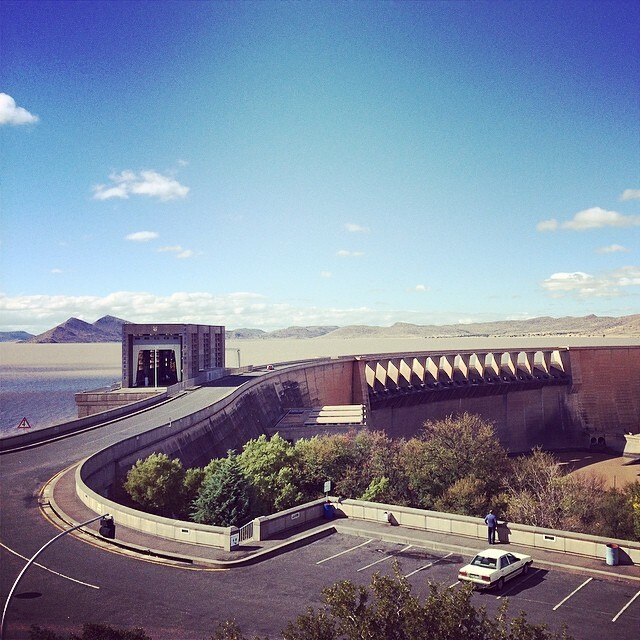 To top it all off, the nearby Theewaterskloof dam is a playground for watersports in summer. 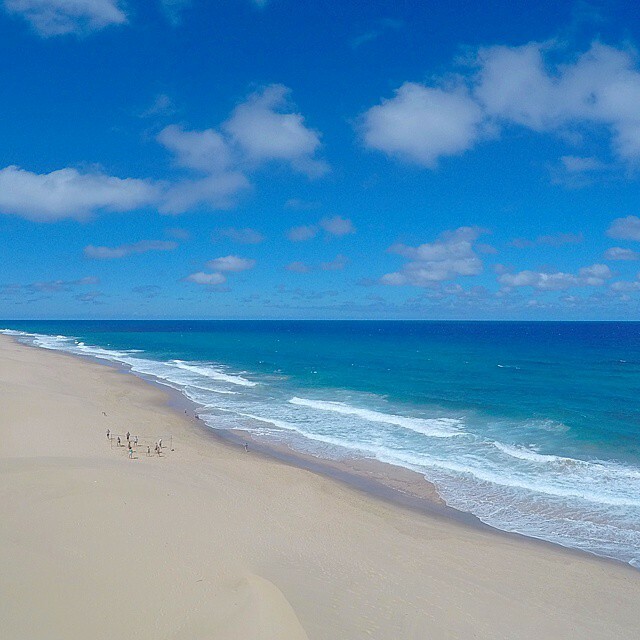 The town of Wilderness encapsulates everything there is to love about the Garden Route – it has a long, white sandy beach and azure ocean; a wonderfully mild climate, lush forests, majestic mountains and a number of lakes, rivers and estuaries. 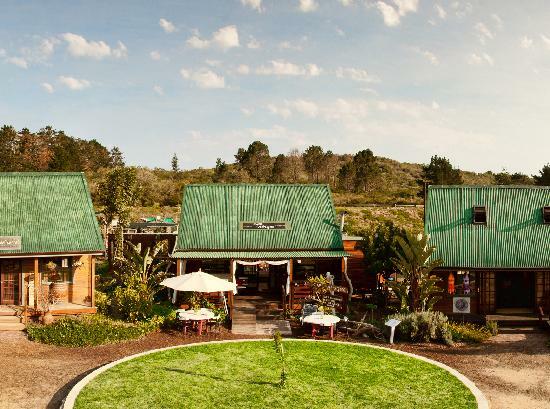 The Garden Route National Park is beautifully maintained and offers excellent accommodation at a reasonable price. 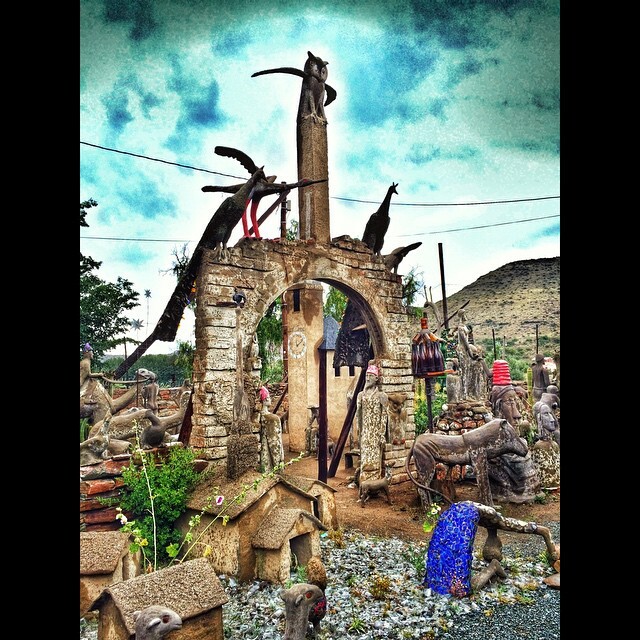 Posted in blog, Explore SA, Play in SA, Popular, Visit SA and tagged Travel. I’m a pharmacist. I’ve got experience in many fields in this profession, but I long… desire to give my honest all, to my fellow beings as I do on a daily basis. This profession allows one to specialise in more than just dispensing chronic and over the counter medication. We, as part of the human race have lost the ability to care and to give. All I want to do is pass on my knowledge and caring and even sometimes aid to healing (by the grace of God) going forward. If there is any small or bigger town out there that needs someone like me to truly see you, hear you, feel you, even by the very least acknowledge you… Please submit a comment. 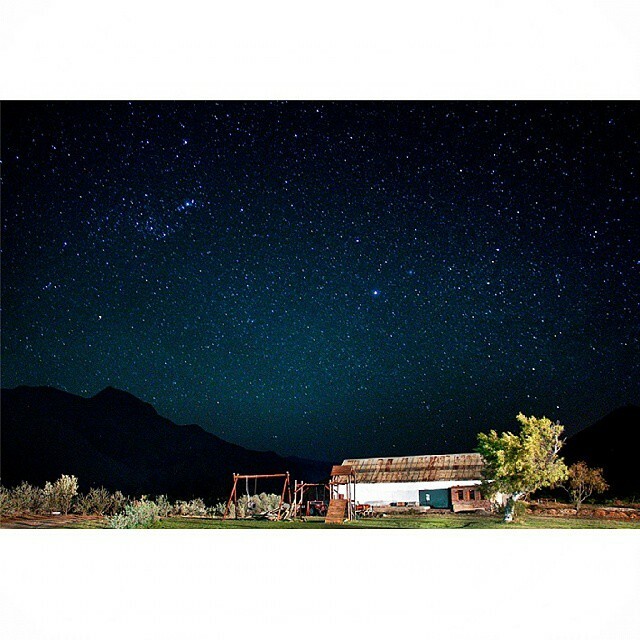 Since the mere age of 13, when we left the farm, all I have longed for is to see the horizon again, clearly see the stars (somewhat always obscured by city lights) and give meaning to others’ lives – where my life will then also have more meaning. I cannot accept this rat race anymore. Excellent article! Your respondents have also suggested at least a further 100 worthy choices. However the village of Koringberg has not been mentioned. This charming hamlet ( rail siding included) is nestled on the slopes of the ‘Koring’ berg , with magnificent views of the Cape mountain range (s) , 1 hours drive on (impeccable roads) to CT , the central winelands and Langebaan lagoon et al. and of notable mention – serviced by an ‘audit clean’ municipality! 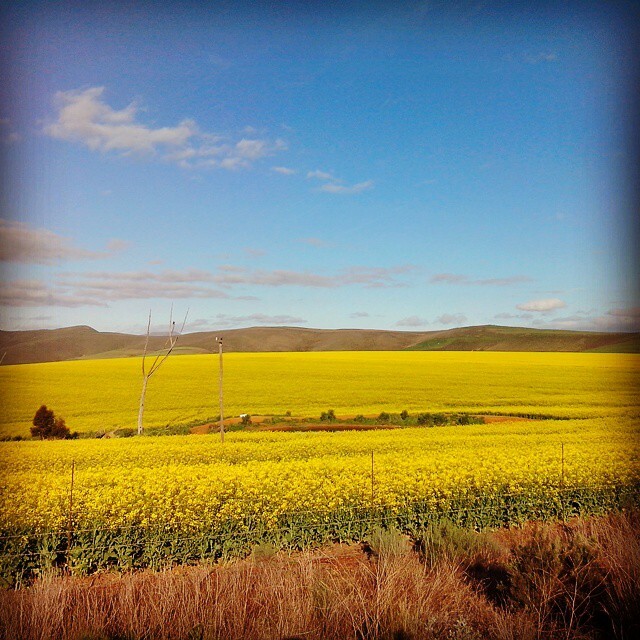 A hidden gem ( non-commercial ) in the pristine Cape wheatlands, yet to be appreciated! Impressive list yet subjective. There are any number of other beautiful towns in S.A.
Would be interesting to know what criteria was used to determine this list. Well done nonetheless . . . . a good starting point for tourists. What about Wakkerstroom on the Mpumalanga Highveld. One of the best kept secrets on South Africa! Wow this blog is so interesting also check out Orchards Farm cottages its an amazing place in Komatipoort, Mpumalanga South Africa. 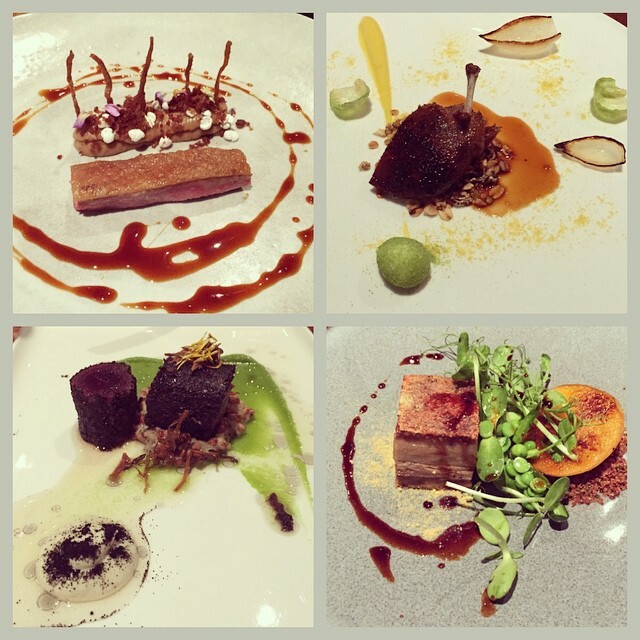 Bare in mind, The Tasting Room at La Quartier has closed down in April due to the Chef leaving. Thank you for sharing. Its a great country and all the places listed are stunning beautiful and to mention Capetown and Wilderness are out of this world places. And Scarborough…. where is it ? Wow ! having grown up in a poor area Bluff ,Durban I was never aware of such beauty we had in South Africa its taken me many years to realise that on all my journeys across Europe and the Pacifics,,Americas that truly South Africa is a world apart.And do my best to get home at least once a year and will try visit some of these places mentioned .Tulbagh looks really amazing. Clearly the writer has never been to Bredasdorp, Struisbaai and the southermost town in Africa, L’Agulhas…..
All the bloody yuppie places. Stupid. I LOVE De Rust in the Western Cape! 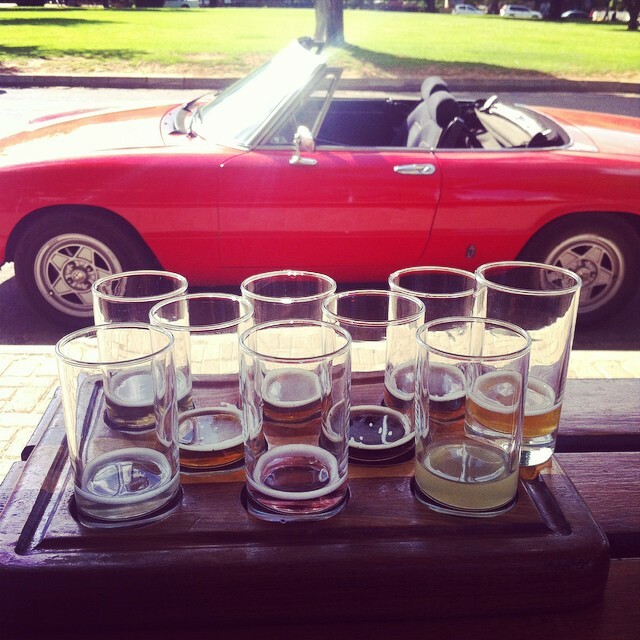 Bathurst… There is no thirst like Bathurst. One of the weirdest towns I have been to is Val, about an hour and a half outside of Johannesburg. Hardly anything goes on there, and in the main street (there is kind of only one street) they play this eerie 50’s music on these old speakers. But, there is a pub, so its all good! 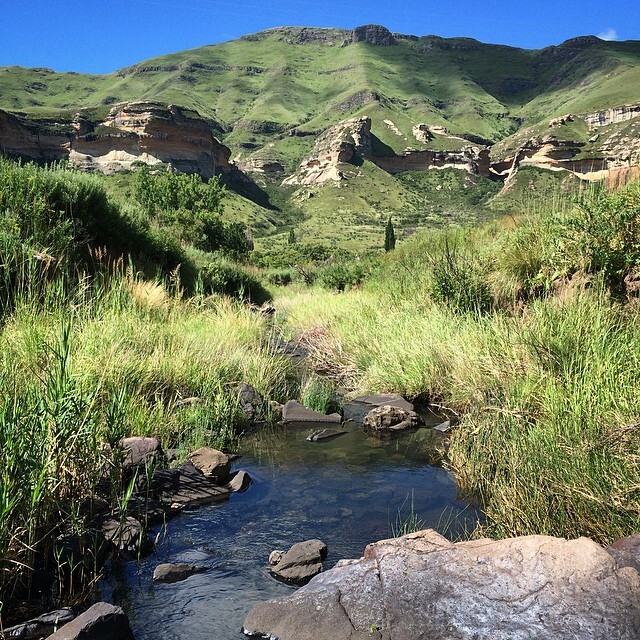 We are very jealous that you get to visit Clarens this weekend! Unfortunately, we are unsure of the exact spot where this was taken, we sourced the photo from instagram and the instagram account seems to have been removed. Lovely article! 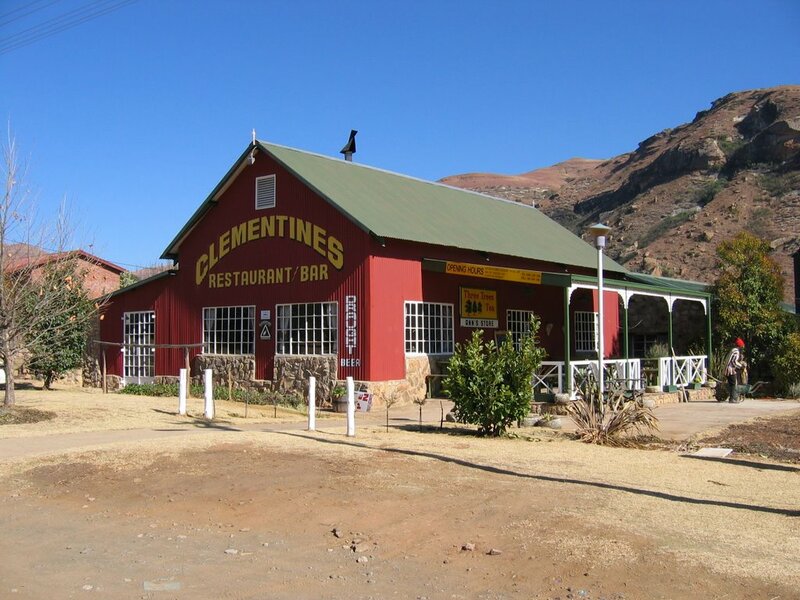 Visiting Clarens for the 2nd time this weekend! Can you tell me where the main pic was taken? We are glad that you enjoyed the blog post and comments. 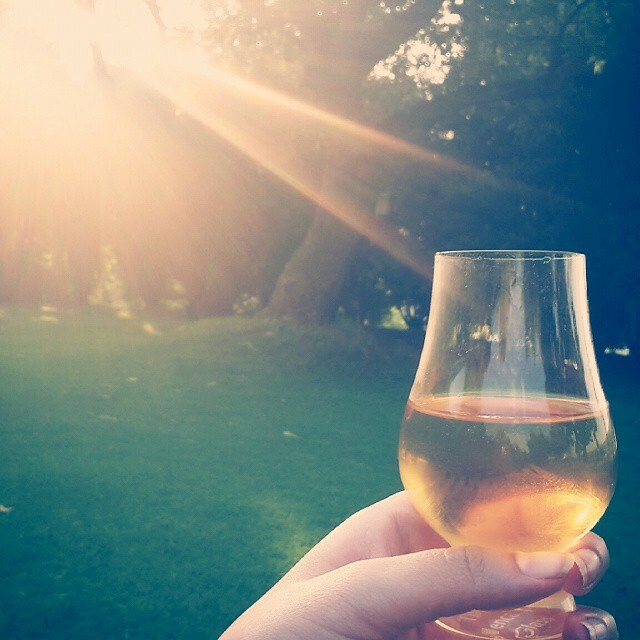 We wish you all the best for your adventures! Pilgrim’s Rest is, unfortunately, not worthy of being on this list any more, unless the town has been DRASTICALLY upgraded/brought back to life within the past year or two. Last time I was there (April 2015) we could hardly find an open store in the whole street. The Royal Hotel was closed – whether only for the day or permanently, I don’t know. The place we bought fuel at (with the quaint old pumps) less than two years ago, is now closed. Stalls were covered in plastic, houses were bolted shut, grass was knee-high and gardens overgrown. 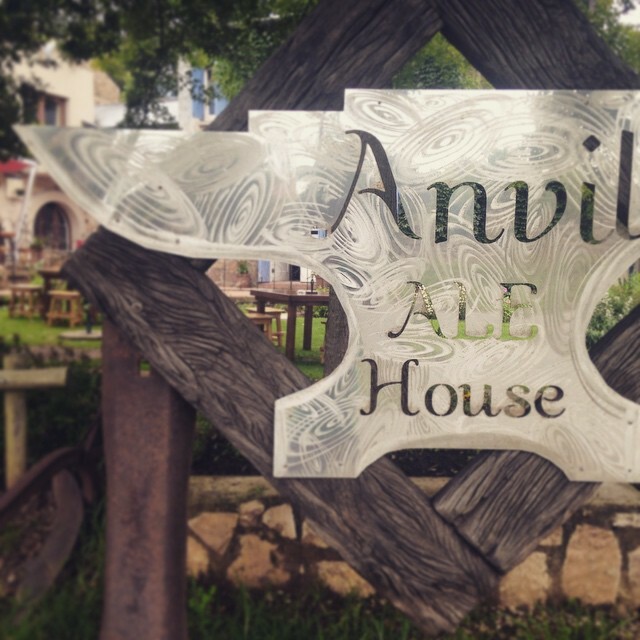 Definitely NOT one of the 25 best small towns in SA. I’m glad Graaff-Reinet made the list. But yes, what about Kleinmond, Knysna, or Nature’s Valley? Uniondale? Kareedouw? I don’t know what criteria were used to compile this list but I have visited some of the listed towns in the recent past and they simply cannot compare with Kleinmond (on the Whale Route in the Overberg). We have the magnificent Kogelberg Biosphere Reserve World Heritage Site on the northern boundary and a beautiful coastal reserve to the south – which includes the 4km Sandown Bay beach. We have a harbour with restuarants (6+), art gallery, photographic gallery and various other tourist shops. About 10km to the West we have the beautiful Harold Porter Botanical Gardens (which is taking centre stage at this year’s Kirstenbosch exhibit at the Chelsea Flower Show) and 10km to the west we have the Arabella Golf Course (regularly rated amongst the top in South Africa). Bordering the Kogelberg at the top of town we have our own beautiful Kleinmond Golf Club which – if your golf enables you to appreciate the surroundings – is about as good as a 9 hole golf course gets. The town also has a Tennis Club, a Bowls Club as well as a Jukskei Club! Many of the homes in Kleinmond are holiday homes. The town is small, is very clean, and has all the necessary services – which all work! To get to Kleinmond from Cape Town from the west one drives along the R44 over the spectacular Clarence Drive which is cut into the far side of our Kogelberg Mountains, along the southern coast of False Bay. Clarence Drive has been rated as one top ten drives in the world and has been featured in many new car adverts. To get to kleinmond from the East from Cape Town one drives along the N2 over Sir Lowrie’s Pass, through Elgin and down the Houwhoek Pass – which means that all roads leading to Kleinmond are beautiful! What happened to Gordon’s bay.Perfect location and for the outdoor enthusiast it’s a must.Close proximity to fantastic restaurants such as Waterkloof,Camphor and Fresh at Paul Cluver. Good selection. But I don’t agree that Greytown and Underberg in KZN qualify. The filth and dirt in the streets are just not good for the environment. Been to a few on the list and agrre, but Gariepdam will not come close to my list! 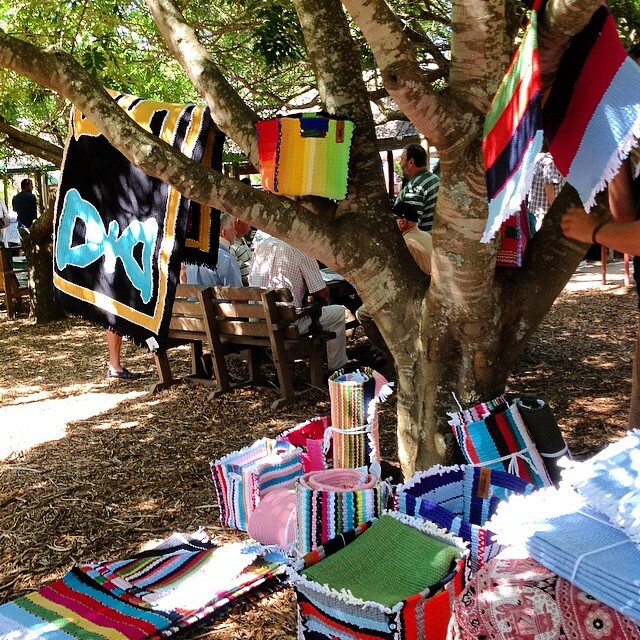 It always seems that the Cape gets all the limelight. Does anyone know that KwaZulu Natal also has some little towns in the country. Take for example Winterton, Umhlanga, Hilton, Margate to name a few. There is a valley in SA, which is deffinitely the most beautifull place in the world during autumn. The valley is secluded and the town is unknown to many. Its called Hexvalley and the town, De Doorns. 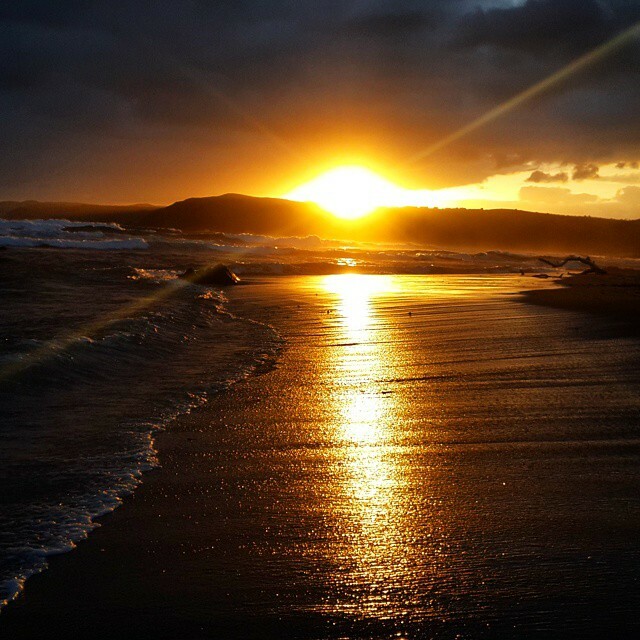 Would love to have seen JacobsBay on your list. 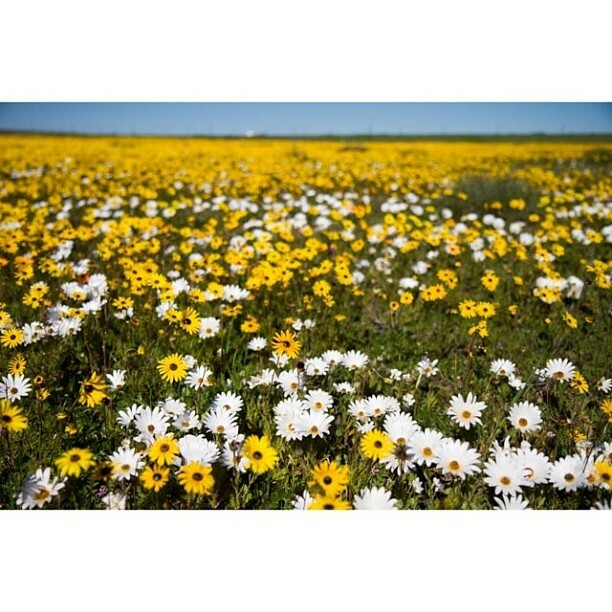 The most beautiful flowers in Springtime, wild ostriches roaming in the roads, beautiful thatch houses, pristine beaches. West Coast hospitality! Moved to George from Jhbg 3 years ago….wish had more time to visit all the towns in this region…one never stops discovering interesting things. 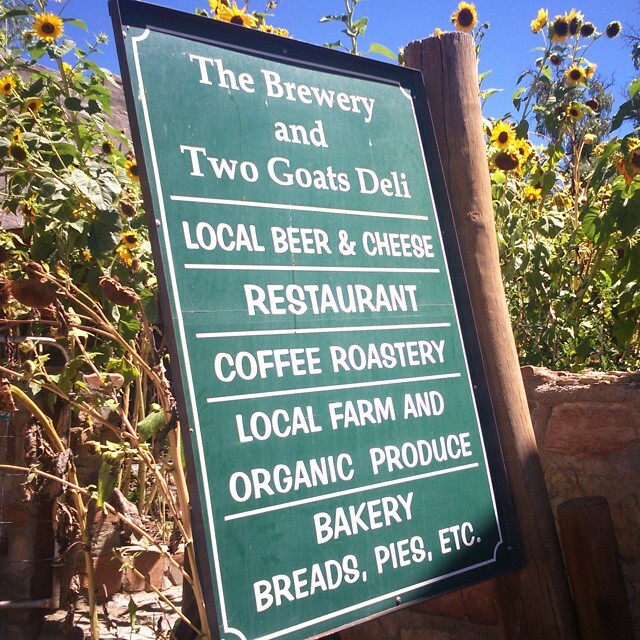 So many stunning little towns within 200k’s from here…Storms River village for example, add Oudtshoorn too. Pilgrim’s Rest DOES DEFINITELY NOT look like that ANYMORE. It shouldn’t even be on this list. If that photo is anything to go by, I wonder how many other small towns don’t look as they appear in the photos. What about Paarl?? Pearl of the Boland. 1. Bathurst 2. Barrydale 3. Mtunzini ? Aren’t we lucky to have so many? De Kelders between Gansbaai and Hermanus has the most beautiful sightings of Whales I’ve ever experienced. Beautiful scenery with lots to see. I could hear the Whales from my bath and watch them from my bed……. Fantastic experience. One of my personal highlights. 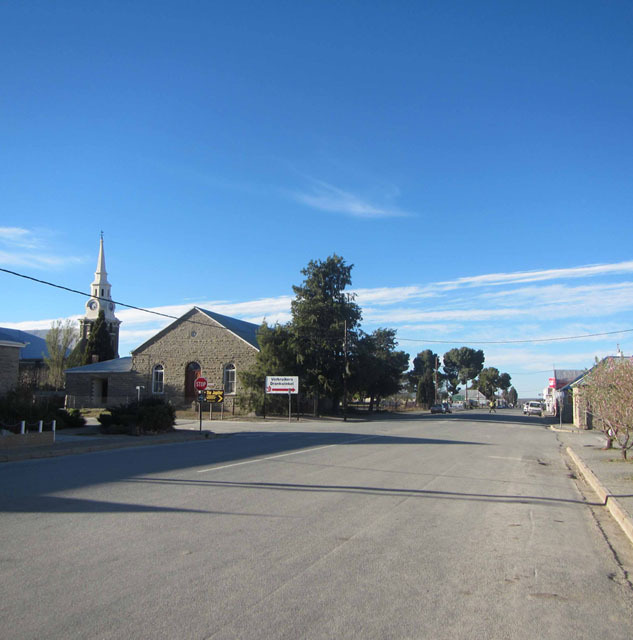 You wouldn’t guess why I am on google researching the best small towns of SA…. I have visited all of these and they are truly beautiful! I miss South Africa! Nothing like home is a saying more people should take to heart. I came to Zanzibar one year ago to try and open my restaurant here….. the most difficult thing I have ever tried and somehow survived but now its time to get of this island. I am a Traditional Fusion Cuisine Chef. I own the hit brand Boer ‘et Roos Plaaskombuis. 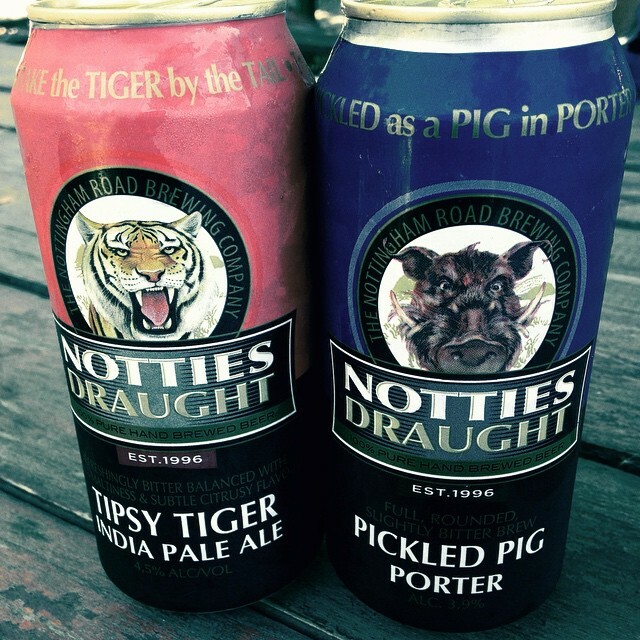 Had some in Pretoria…. i should never have left. Any Suggestions? Which small town needs another or a first really excellent restaurant which offers almost tailor made delicacies to its patrons? When last did the writer of this review visited Pilgrim’s Rest. The way Pilgrim’s Rest looks like these days are a shame to the inhabitants and the tourists who wants to visit it. 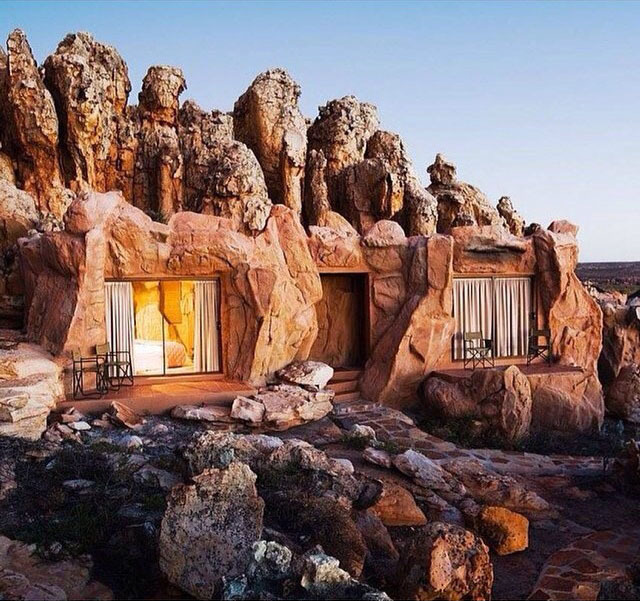 There are towns in South Africa that’s much more deserving than Pilgrim’s Rest. 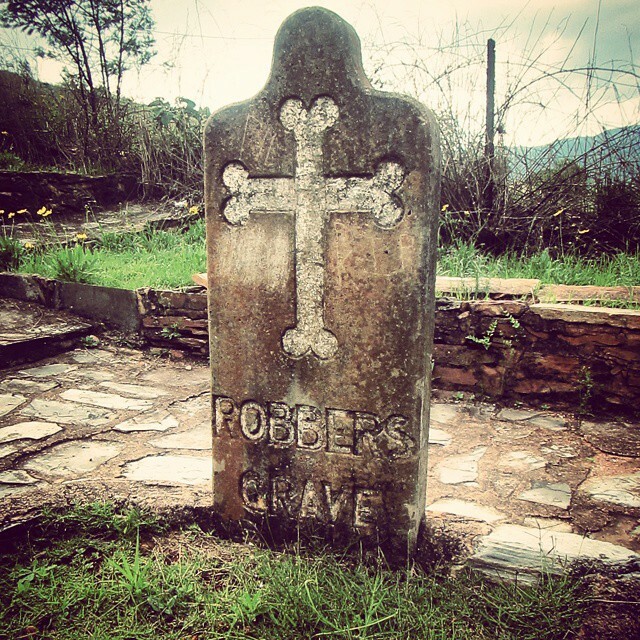 I think if you revisited these towns, Pilgrimsrest will not make it for 2016. It has deteriated in the last year since this list was decided. You have left Petrus Steyn ,Heilbron, Lindley and Reitz out! 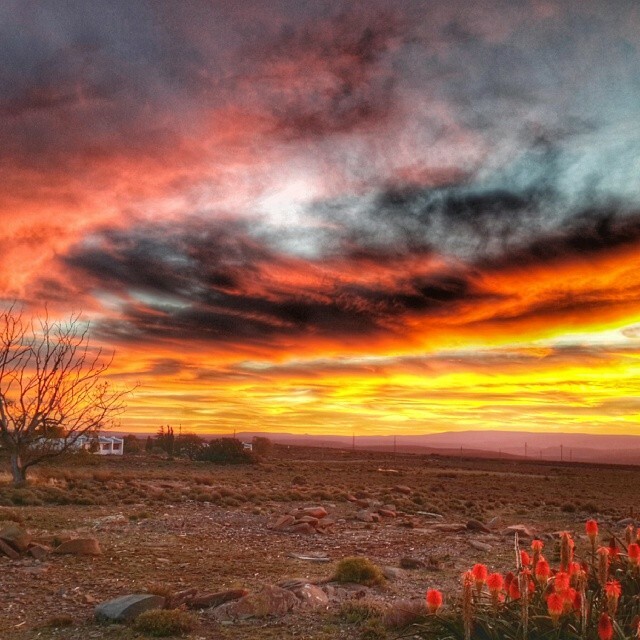 Loxton, Northern Cape, where you don’t need to make up any excuses for doing absolutely nothing for a few days. 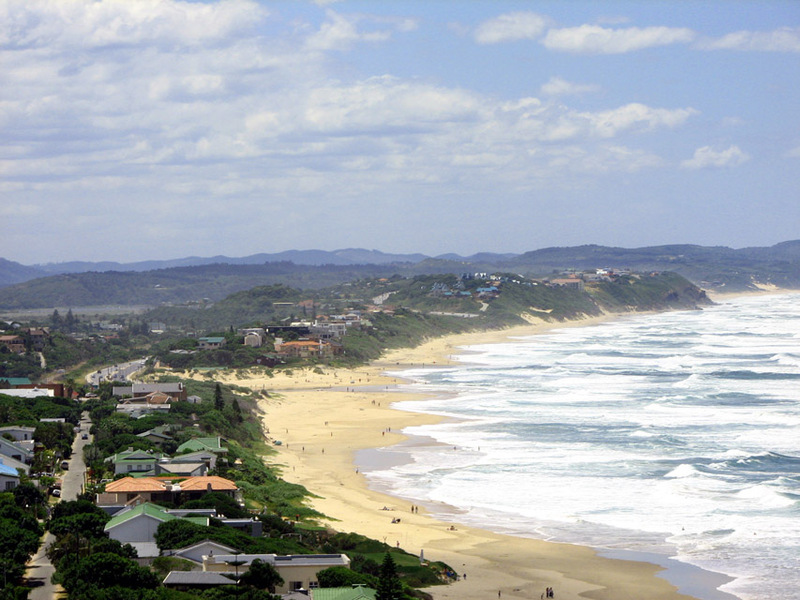 Hi Errol, Sedgefield is a coastal town on the Garden Route in the Western Cape. I would add Gonubie – Eastern Cape. Yes I agree with you all and can add gems like Kathu, Potch and a zillion other small towns. But as part of the National Rejuvenation Project for small towns, we have identified the major success factor to be cost-effectiveness to visitors! I have travelled all these listed town and they are damn expensive!!! You forgot the best one… Chrissiesmeer!!!! I agree with all the names except one. Sutherland is dreadful and depressing. Wonderful. South Africa is Beautiful! I’ve visited quite a few of these small towns! Each has their own special charm. Disappointing that Howick didn’t make it. 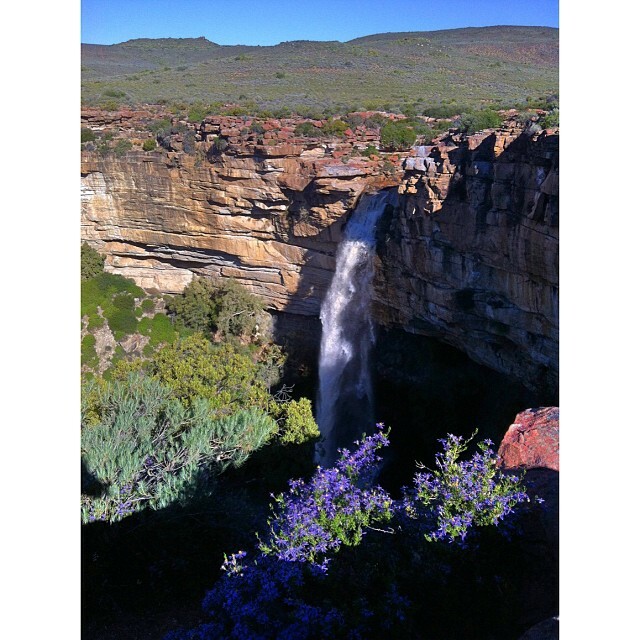 The Falls are a famous attraction and it’s the gateway to the Midlands Meander. You should add Steytlerville to this list. It is an awesome little town with so much to enjoy! Coffee Bay is one of my favorite place on Earth. I am so glad that I have the opportunity to visit it 2 years ago. If you spent there more time you could appreciate the nature and how small people are. It was my best holiday. Greetings! We live in such a beautiful country! I must say though, when I saw Villiersdorp on here I was surprised that Stanford is not on here. That would make 3 towns in the Overberg on your list but Stanford too is a wonderful little village. Glad we could help one more person get another step closer toward realizing just how beautiful this country of ours is. 10/10 on your list. I read this article just over a week ago. Decided that I need to go visit Greyton (seeing that it’s in my backyard so to speak). 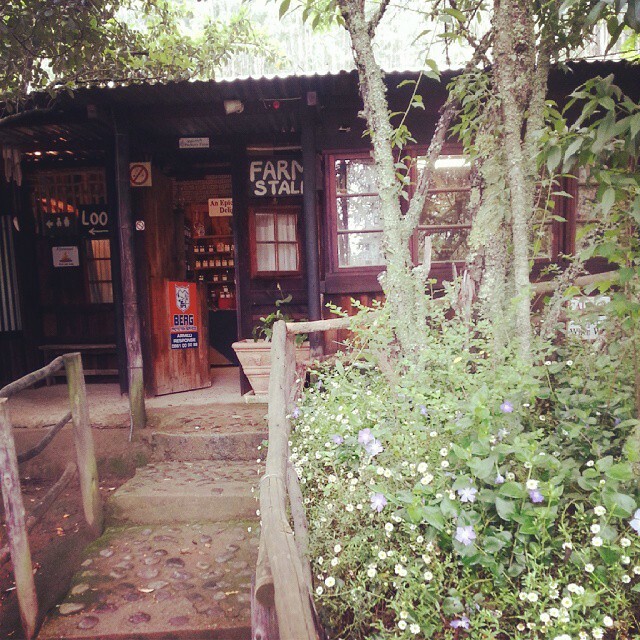 Went to Greyton for the weekend and can fully understand how this little Village made it to your list. Place is just beautiful. So where’s Kalk Bay in this run up? Great list guys. Happy to see some of my favorite towns such as Franschoek and Clanwilliam, but bummed not to see Stellenbosch. Your choice of Port St Johns and Coffee Bay. I agree they all have spectacular beauty and wonderful marine environment.Unfortunately these two villages are filthy, run down areas where drugs are freely available. The beauty of the forests may not last long as wood is being taken out of old milk wood forests on a regular basis. The muscles,oysters and crayfish will also be gone as they are being plundered and sold by locals, undersized in berry and in and out of season. Then visitors buy with no knowledge of regulations, What a great pity that this is allowed. Hi Lettie, I’m well-versed in the tasting of Robertson’s wines, but cannot claim to have had the pleasure of visiting the town itself just yet. I certainly plan on rectifying that in the very near future! How do you think you can leave your dead end job and move to a small town for a less complicated lifestyle? I would like to open a store that sells organic veg, home made goods etc – support local enterprise- in which town do you think it would work? I need to move to a small town, meet a good Godly man and settle down…. I love to travel and SA has beautiful small towns, the only problem I have is with the people in these small towns. I’m not a racist, and I love to engage with people, but when one visit these places there’s a lot of racist remarks / reception towards black people. I still don’t get it, we are a rainbow nation! Hi Hayley, we’ll be sure to include Mossel Bay in the next list we do! Hi Paul, we’re thinking about expanding the list to 50 based on many of the suggestions made in the comments. Which ones have 10 meg internet? All beautiful & there are many,many more beautiful places to go to in this wonderful country of ours. Try visit them before your time runs out, because after leaving this earth, there’s only 2 places you can go to. The choice is yours. As an Englishman you have described why I keep coming back to S Africa! I will be there again from July 7th to 30th this year with my wife who will be visiting for the first time! Have you seen Port St Johns lately? Scenically beautiful but the town is a disgrace. Stilbaaaaaiiiii!!! Waar is jy, Stilbaai, mooiste in die land? My hometown Paarl and Stellenbosch and Hermanus??? I agree. De Rust should be way up there. My favourite overnight stop in that area. I agree , Rhodes is b/ful ! Pilgrimsrest is a shame & a ripoff. Absolutely run down. Not worth visiting for any reason. We go back to Napier time and again. This small town has so much to offer, with the population as friendly as that of St Helena Island. Ek wil net weet, waar is Haenertsburg op julle lysie dan? And then there is Rhodes… thats all…. Yes, as Ashley commented on Mr/ms Soler’s point taste is subjective. With any list – best books, films – posters will add their own, who missed.the list. 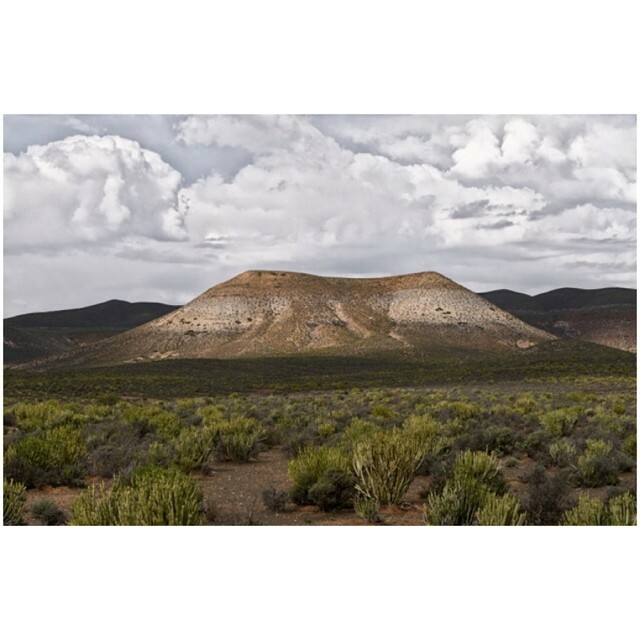 Because of my work, i travel extensively through the Wester Cape, and the Karoo must be one of the most awesome in the country. Visit all – from the article and the posters! I have a special place, Prince Albert, in my heart. 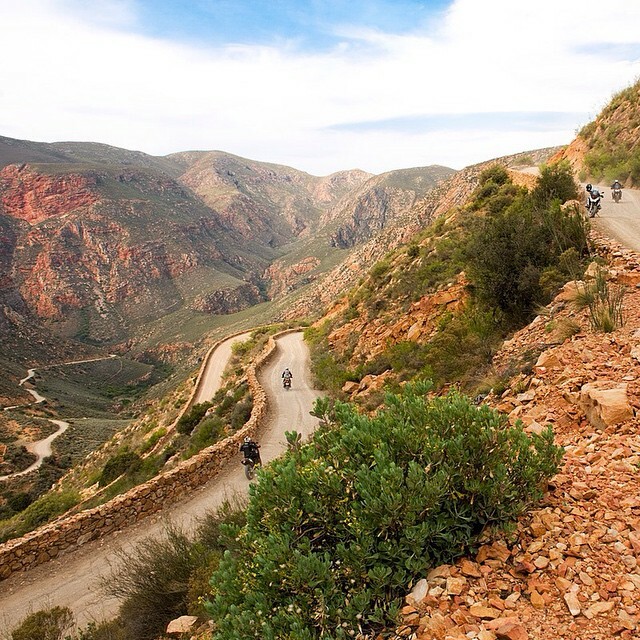 The Swartberg Pass, with Vergelewen, are truly magnificent. 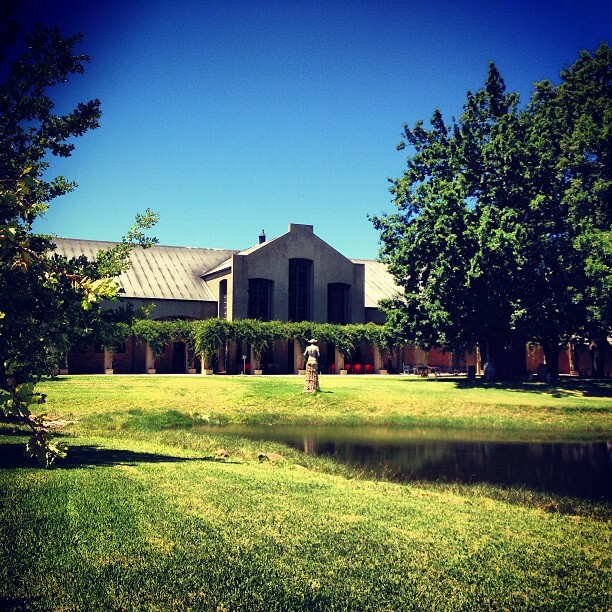 What surprised me that Villa Kuger, the art house and garden created by Hennie Boshoff and team is not mentioned. This is an astonishing creation, and brings The Owl House in Nieu Bethesda to mind. But more than that. It features some works of internionally known artists, whose work cannot be seen on the coninent. I suppose design is subjective, so one’s ‘vulgar monstrosity’ is another’s Arc De Triomphe. P.S Not to worry about the multiple posts. I really think Clarens is overrated. I think Barberton is one place that should be on the list. Rich in history and spectacular views. I would say Barberton also should be on the list. The most stunning place i have stayed in for a couple of years. Memorable and hopefully would like to go back there soon. Prince Albert is indeed a very beautiful town. It has been dramatically gentrified over the past 2 years, dramatically this last year. I am stunned that the Art Deco theatre should be mentioned. It is a vulgar monstrosity, sticking out like a sore thumb in this ancient beauty. Victoria bay next to wilderness. Amazing. Agree, and you could throw Haga haga in which is next door! Haenertsburg is one of the most beautiful towns in the country. It deserve a spot on the list. How can you compile a list without going to the places? 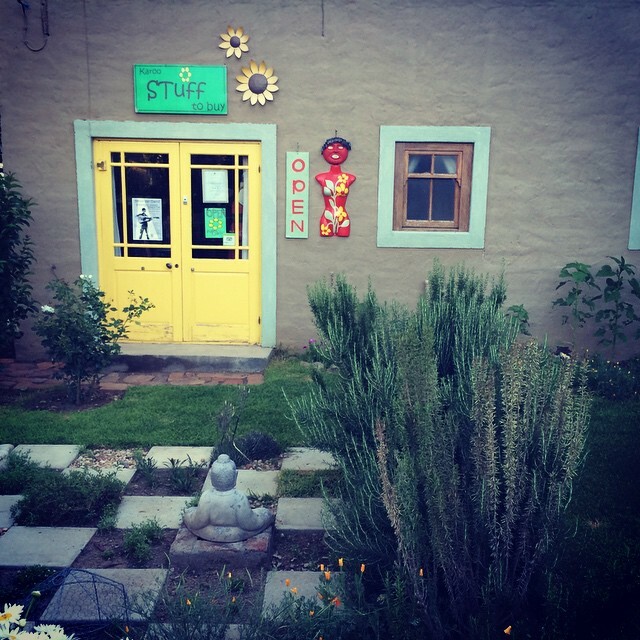 There are so many gems in the Karoo and Northern Cape. I enjoyed the photos, comments and suggestions. I agree you can’t please all the people all of the time, and lets face it we all have our favorites and our own ideas and activities. We live in a great country. Don’t leave Port Alfred out even if it is a little remote. 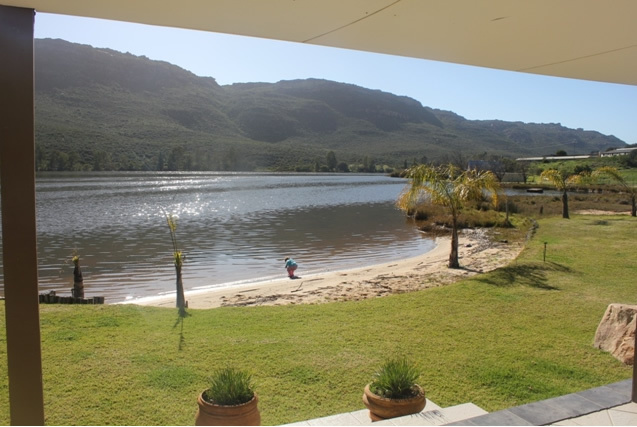 Lots to do on the beautiful Kowie river, fishing, skiing and pristine beaches. Lets enjoy and appreciate and look after what we have! Agreed… The town is a hole! The reason we live in Villiersdorp is both people and place. You can’t have a better community spirit than here. 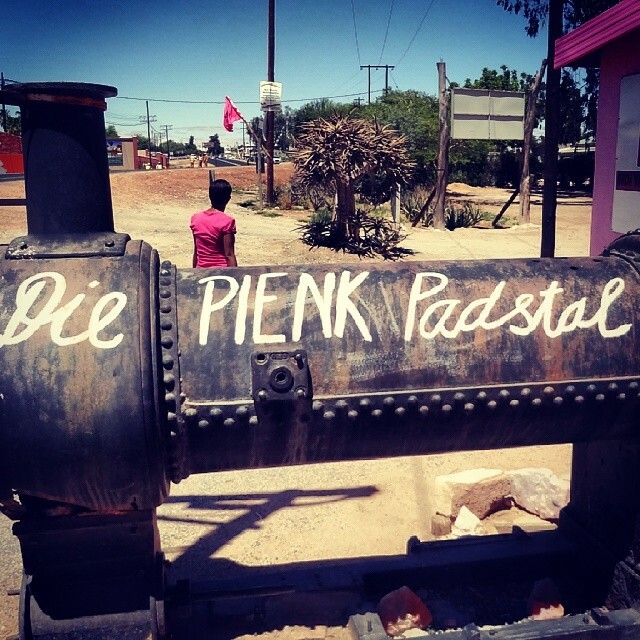 Pragtige omgewings fotos.Wildekus,Weskus,Natalse kuste en ek glo baie binnelandse dorpies kan ook kwalifiseer as daar net op sekere punte gefokus word.My mening. No Betty’s Bay? Mountains, Sea, Harold Porter gardens, Kogelberg wilderness area, Silversands beach – surely one of the prettiest beaches in the country – and soooo unspoilt. On second thoughts – forget what I said – lets just keep it quiet! Wat van GrootBrakRivier????? en KleinBrakRivier en Suiderkruis…. BAIE BAIE MOOI! I would include Arniston/Waenhuiskrans, Cape Agulhas and Elim. What a lovely town,few peoole seem to know CALITSDORP and what about Oudshoorn. Ever heard about Kaapsche Hoop near Nelspruit.We surely have a beautiful country, even Parys is a pretty town.what about Balgowan in the Midlands and Rosetta? S. Africa itself is beautiful. Where ever you go its beautiful. I really do not know why people leave to go to other countries..it is a shame. You should visit Rhodes, in the Eastern Cape Highlands. I can assure you that you will mark it as one of the top best small towns to live in. I am absolutely surprised that it is not on the list. 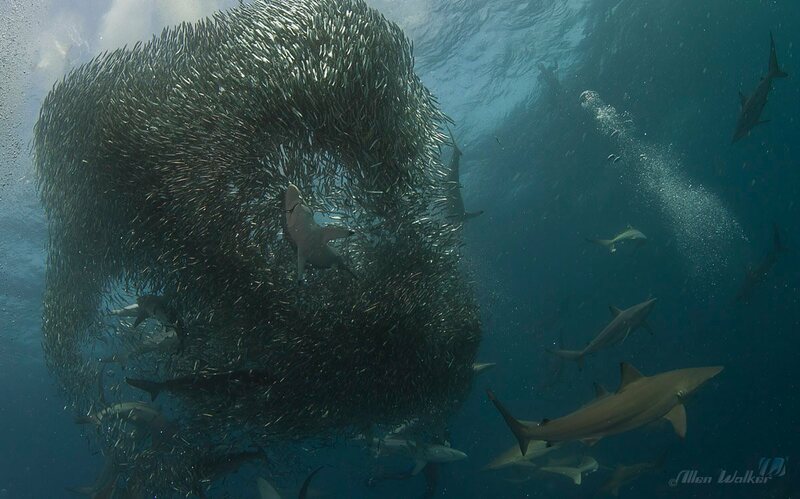 Kaapsche Hoop, Stunning!! Too true. I agree. 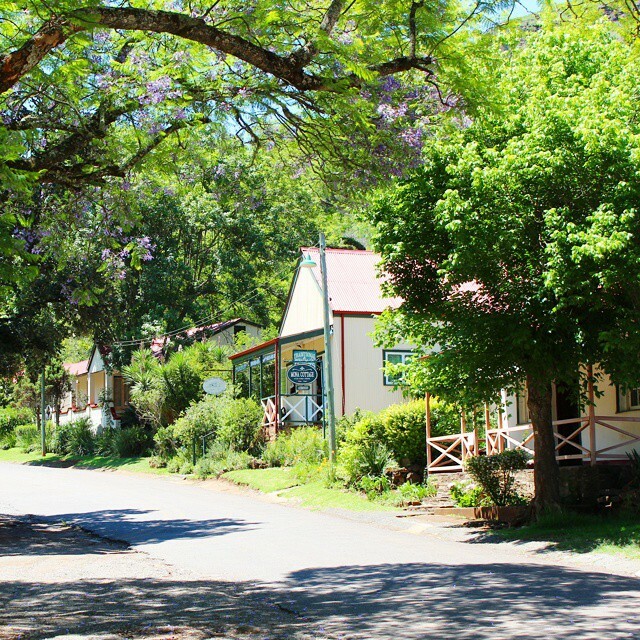 Stanford is a proclaimed conservation village and has therefore retained much of its vintage charm. It’s also only 1.5 hours from Cape Town between Hermanus and Gansbaai. 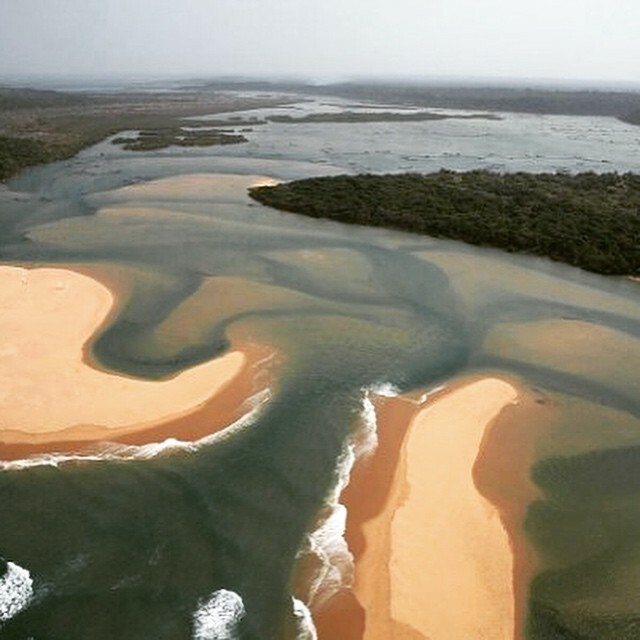 It is top of the list for serious birders, it has a river in which it is safe to swim with no resident bull sharks, it has multiple award winning restaurants, a micro brewery and cheese farm with international award winning gruyer. 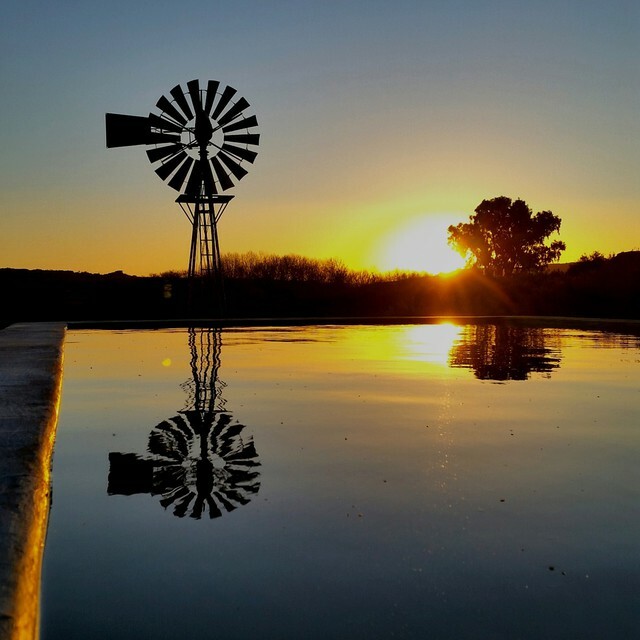 Hiking trails over the Klein River mountains and several top wine farms are just a few of the many attractions Stanford has to offer. You can please some of the people, some of the time with the list, but you can’t please everybody all the time, I’m afraid! All great places, been to 92% of the places listed. I would remove Polka restaurant from the Graaff-Reinet places to visit. It is most certainly not the best eatery in town! Hanna, what a great idea. A book on these places. And you could add some of the towns that others have mentioned, such as Stanford, Rhodes, Pennington. There are others not mentioned yet. Wakkerstroom; Askham (in the Northern Cape); Calitzdorp (Oh, the Port wine); Ficksburg, Kommetjie; Siomonstown, etc, etc. But what is the definition of a “small town”. I wouldn’t have thought Stellenbosch or Tzaneen were small towns. Go for it Hanne. I nominate KNYSNA, Western Cape to be the most beautiful small town in SA! We were in Rhodes Jan 2014 and were so disappointed that the Hotel was all closed up .Locals said ‘Closed Down’.Such a magnificent building and still fully furnished with its pub etc. Villiersdorp does not have ‘storm water trenches;; those are ‘lei water’ irrigation trenches. Pilgrims Rest??!! When was your list drawn up? 1864?! 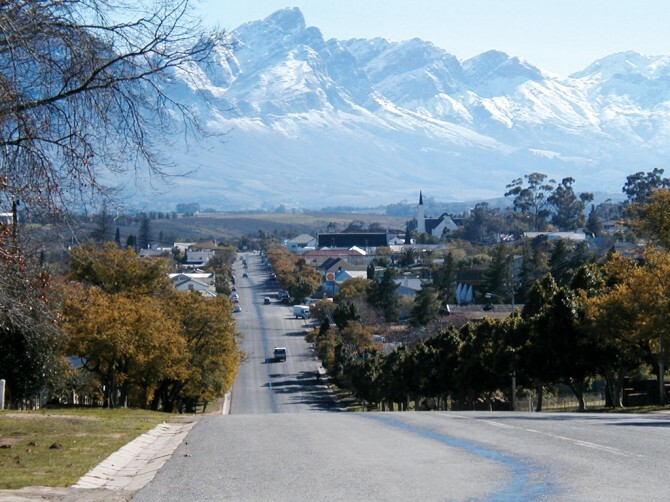 In my 74 years I have visited 90% of your 25 and at least another 50 equally as good,but I chose Swellendam as the top of the list, I am now a Swellendammer and proud to be. Just come back from Hermanus 3rd time round and LAST!!!!!! Most of the prices are way beyond the photo on most ads. I believe this could very easily be extended to 50 and even 100 best towns!! Some of those people, quite rightly so on one hand, want included here hardly falls under the category “Small Towns” Nelspruit and Hermanus being case in point. Perhaps another list Best 50 Medium towns in SA would help? Must say I was surprised at the ommision of Paternoster and maybe less so my hometown Langebaan. I have been fortunate enough to have been to all these places, with the exception of two, pretty often. I would add Parys, Freestate and Jeffreys Bay, E Cape – maybe compile the top 50! You must have missed Heidelberg and Witsand in the Western Cape … try them next time around ..beautiful small towns and a pleasure to live here. Photos like these give EXPATS of twenty five years all the joys of coming home one-day…… the joy of a small town….. Yes, Monya…I agree with you…Rhodes should top the list!!!! 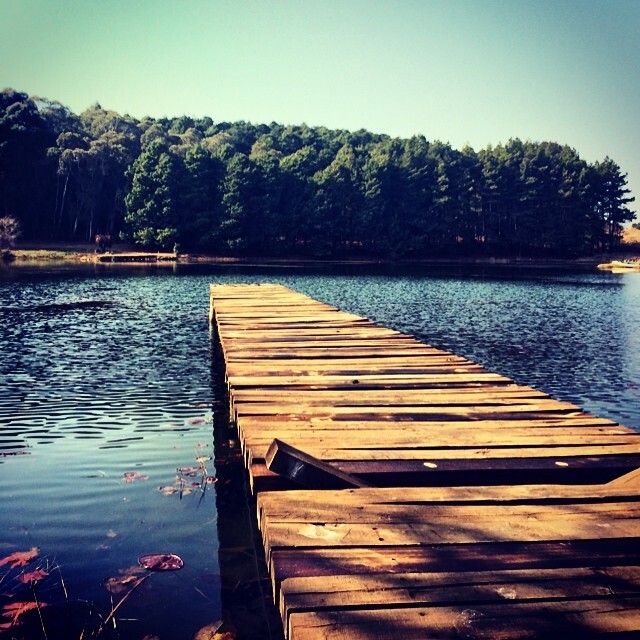 what happened to Sedgefield……..piece of heaven! What about Bonnievale? 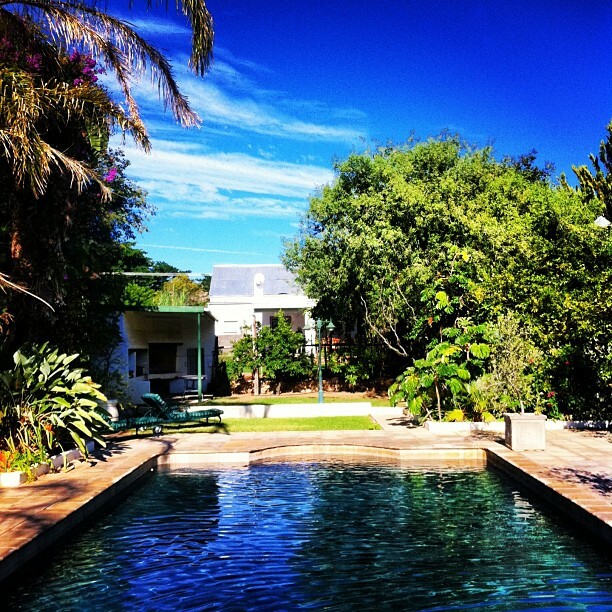 It has beautiful vinyards, the Breede river and unspoiled charm. Truely worth a visit. 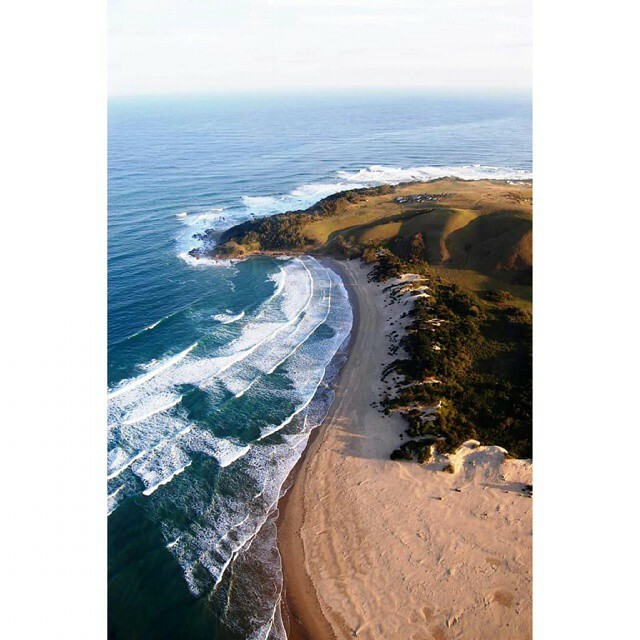 Pennington on the Natal South Coast is a beautiful tranquil spot filled with some if the best golf courses, forest walks, clean beaches and majestic b&b’s. I think the village of Hermanus used to be SO beautiful twenty years ago but now seems to have sunk into dilapidation and too much unruly growth of grey industrial-style buildings. Its natural beauty and beaches are still wonderful but with the huge influx of overseas visitors (and part time home owners) surely the local council could appeal for more resources from them to tidy the place up? I agree, but Plett was prettier, much less developed when we first visited in 1948. Would definitely include Witsand at the mouth of the mighty Breede River! An absolute paradise and breeding ground of the Southern Right Whale between the months of May and November. Crime free village only 3 hours from Cape Town at the gateway to the Garden Route. Outstanding fishing opportunities, swimming and kite surfers best kept secret! lots of varied accommodation from budget to luxury self catering. I”m happy that Coffee Bay and Port St John’s made the list. These are truly beautiful little villages with great potential. Their prestine beauty needs to be kept and protected for future generations. Would be lovely to see other small towns mentioned. 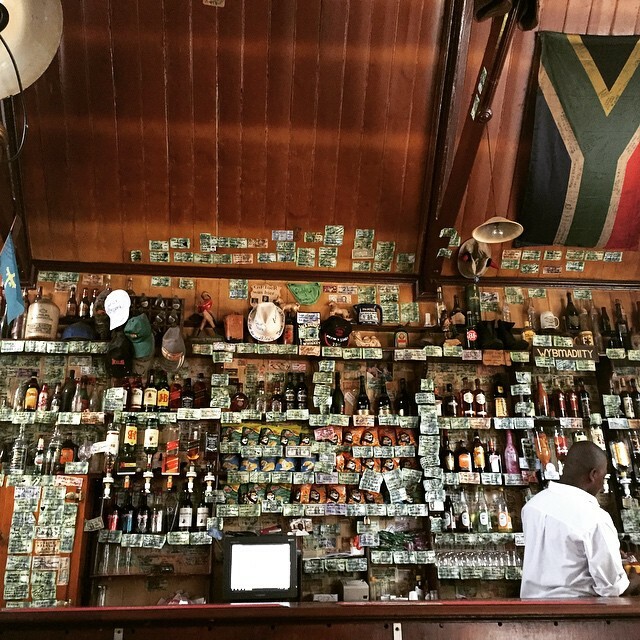 Looking at these amazing pictures of South African beautiful towns makes my heart cry. I dare say a valid case could be made for any of perhaps a hundred small towns and villages not included in the list. Where, for instance, are Hout Bay, Simons Town, Fish Hoek, Gonubie, Cintsa East (once the potholes have been repaired! ), Graskop …? It’s all a matter of individual taste, really. Ek was al by 17 van die pragtige dorpies. Daars nog ander ma dankie vir die uiteenlopende spesiale plekke in ons land. We visited it last September, the worst experience in our month of travel in South Africa… We still talk about our Indiana Jones moment looking at the ruins of a once beautiful hotel, now taken over by monkeys… The road in was dangerous, the township very scary, the beach difficult to enjoy due to the stench… Unfortunately NOT a place to recommend to tourists…. For myself, many of the towns you mention are little more than tourist traps (Franschoek, Dullstroom, Clarens, Nottingham Road, Pilgrim’s Rest, Port St John’s and Sabie); I would have liked to have seen Loxton, Stanford, Rosendal, Napier, Nature’s Valley, Bathurst, Rhodes, Wakkerstroom, Greyton and Kenton-on-Sea on your list. 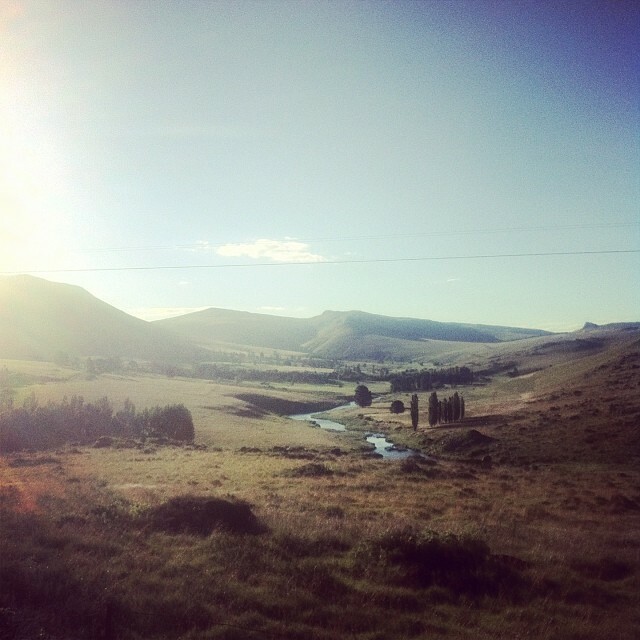 Clarens is far too over-rated. Unnecessarily pricey and the “art” less than mediocre. The town is run by a nucleus of white supremists,some allegedly ripping off BEE deals for their own benefits! It may be a cutesy town on the surface, maar onder draai die diuwel rond! PLEASE put this into a printable format… love it! Dalk moes julle net “The Best” uitgelaat het. Geen fout met die res nie. Nice blog post. I think one of the nicest small towns I have ever seen are Parys in the Free State. We enjoyed that town more than Paris in France. Well worth a mention. I love that there are so many people promoting their towns to see, visit and make it onto the list. Shows that South Africa has such an abundance of beauty. 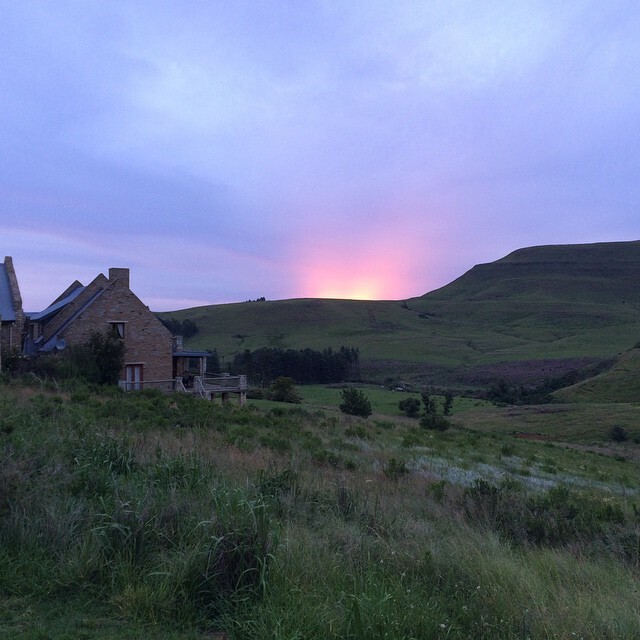 The area of Winterton/Champagne Valley in the Central Drakensberg is also a stunner and a must see. Wakkerstroom for the Birds – Great small town! Can’t believe Stanford was not included. !!!! I doubt if any of the dillions of South Africans who left the country of their birth did so because SA lacked natural beauty. We left to provide a secure and safe future for ourselves and our children. South Africa – being part of the African continent – is fraught with corruption, incompetency and narcissistic leaders. It is a pity, because I believe I could easily settle in any of these 25 towns. 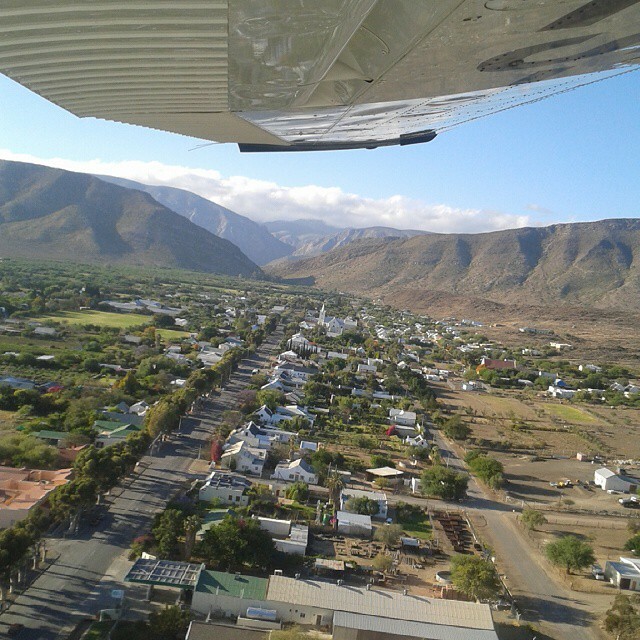 What about the beautiful De Rust Klein Karoo just under Swartberg Mountains and voted town of year 2011??? I suppose everyone would want their favourite spot in the list, but there’s probably method in the madness. I would have imagined Arniston to be there. It is after all concidered one of the top 10 secret hide aways in the world (according to international sources). What about tzaneen? Haenrtsburg? Phalaborwa? Nelspruit? Letsitele? Will change your mind very instantly after visiting these towns…..
March. Will be traveling from JHB to Gariepdam, sleep over. Next day to Ceres. Sleep over on 26th from there up to Clan William then to the coast traveling down to Cape Town etc all the way up to Plettenberg bay. Places to visit? Restaurants to go to etc etc Thank you! I thought Knysna will be on this list. I wonder why Knysna is not on this list. It’s a beautiful small town. Kan beslis nie glo sabie het die lys gemaak nie. Nie een van daai things to do is naby sabie nie maar nader aan Graskop. Moet nie the veel sit op die “town of the year” award nie, definitief n blinde oordelaar ge wees. What about Philippolis. 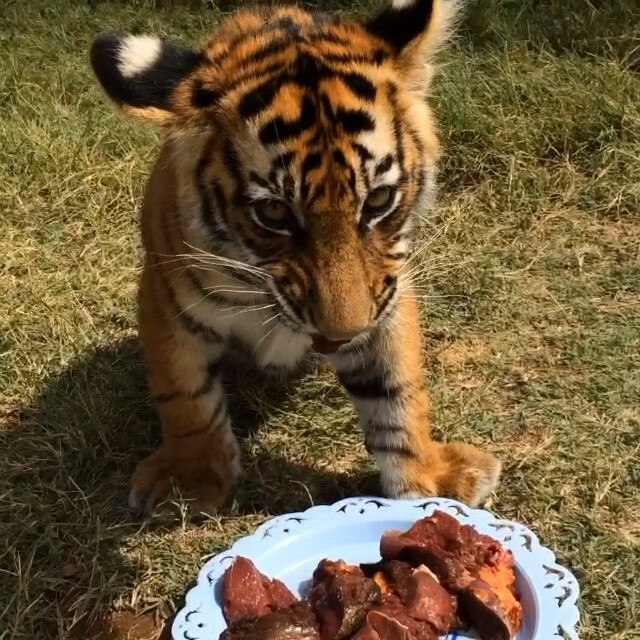 They have the only natural living Tigers and cheetah in the Free State. Close to Gariepdam and alot more beautiful. Reply and i can give you a great guesthouse contact number aswell?? Have you been in the little town Bathurst? 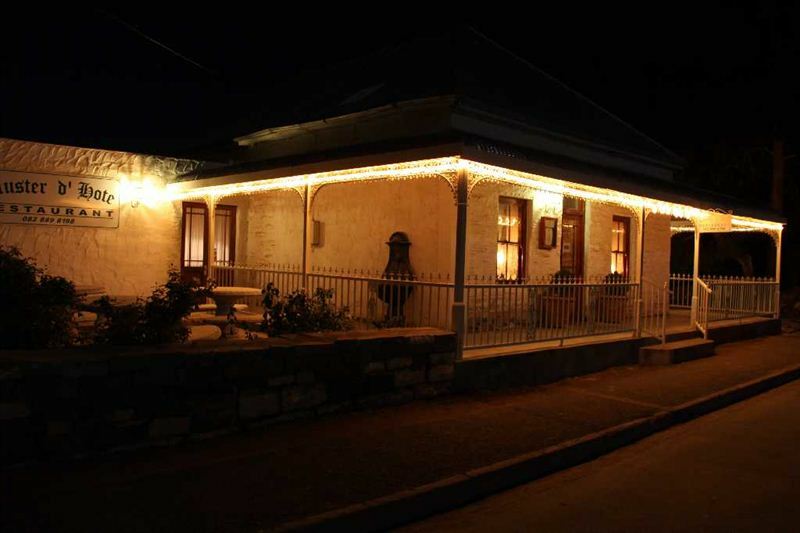 The oldest hotel in SA, Pig and Whistle is situated in this town. Horseshoe bend is one of the most beautiful look out points in the surrounding area. So much history from a small town that never seems to be mentioned. I can’t wait to visit all of these small towns and self-publish a book with photos about the town and people. I think it should be a top 50, judging by all the comments? I would definitely include Witsand. Beauty is surely in the eye of the beholder ,please discover Pennington the Umdoni forests, golf , and super beaches ,not to mention the sardine run. Hey wena !! Elite Daily, a US based online monthly publication for young people has rated Tzaneen as the 27th “unpredictable and least known places to travel to in the world”. Kaapscheoop is so beautiful small town in mpulmanga.. especially nice view and wild horse.. many tourism come there..
you did not get it totally correct… you left out Natures Valley….the most perfect little spot in SA without a doubt!! 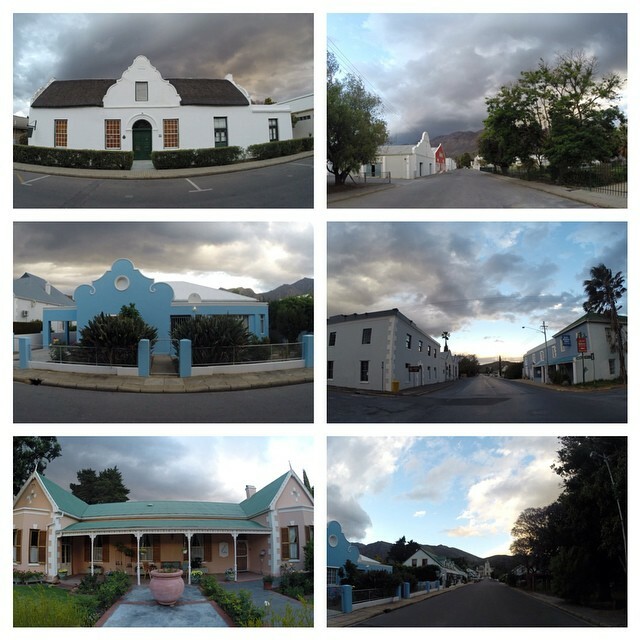 I love these small towns in South Africa, and I grew up in Graaf Reinet. Married in that beautiful Church, in the sixties!!! Stellenbosch is nowhere to be seen ? It should also be on the list !! Great towns but Umdloti on the North Coast is also worth a mention. 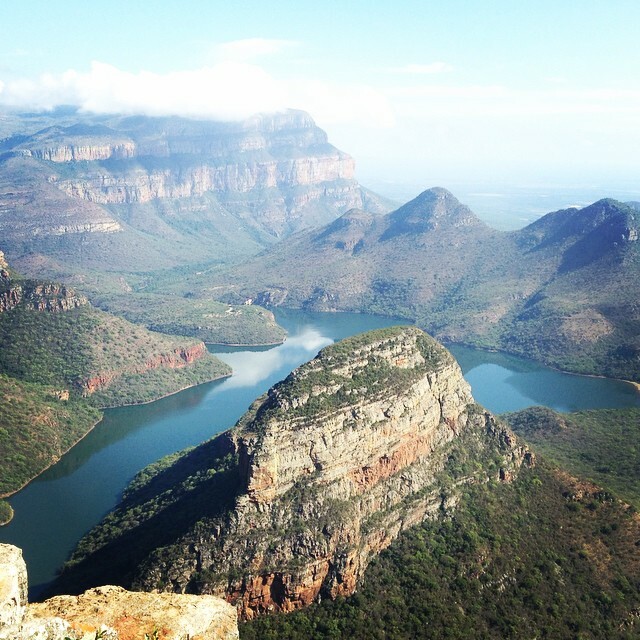 We have such a diverse culture, so many different habitats – sea, mountains, karoo, forest, bushveld biomes, etc. etc, and across them all are scattered a plethora of remarkable villages, small towns and incredible people. I doubt there is a dorpie that doesn’t have its admirers!! Truly, we should nurture and protect this incredible Country of ours, our wildlife and our people. Irrespective of colour, creed and culture, we are all South Africans and should remember this and rejoice..
Hoedspruit Limpopo should be up there as well! I would definitely include Cullinan, Pennington, White River and possibly more towns! I have visited many of the towns on the list but have you been to Napier in the western Cape. 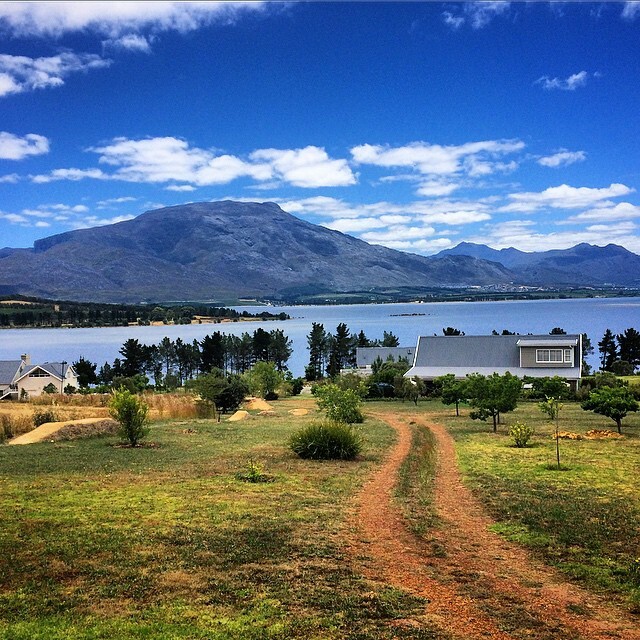 A gorgeous village, friendly people, great restaurants and lovely MTB and walking trails. Please consider us next time! Anyone else, you are very welcome in our village! so wonderlik! was bevoorreg om op 16 van die 25 te kon gewees het! dankie Vader! Great coverage, excellent pics. However the one that you are using for Kakamas is actually the village of Augrabies. I should know, we are climbing off the hot air balloon launchfield at Augrabies Backpackers. 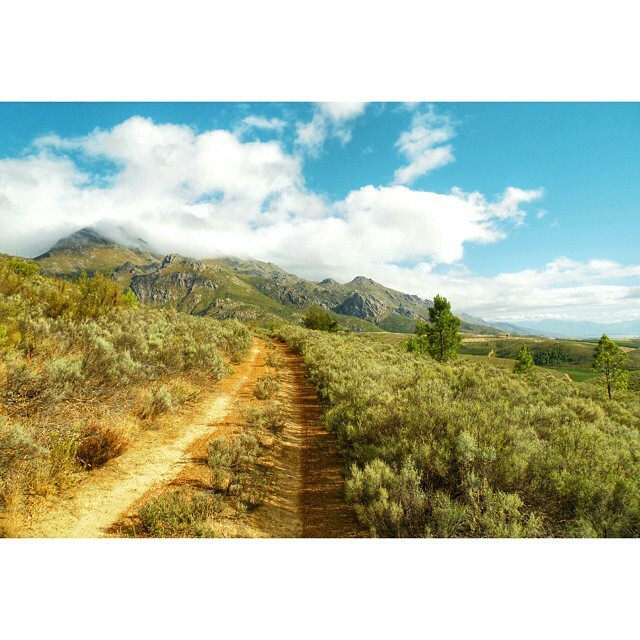 The remoteness of Bitterfontein made a big impression on me. Please forgive my spelling I am a dumb Aussie. Hi Anne, while it’s possible that the town of Port St. Johns itself has seen better days, the towering cliffs and unspoilt forests surrounding the town are the real attraction. 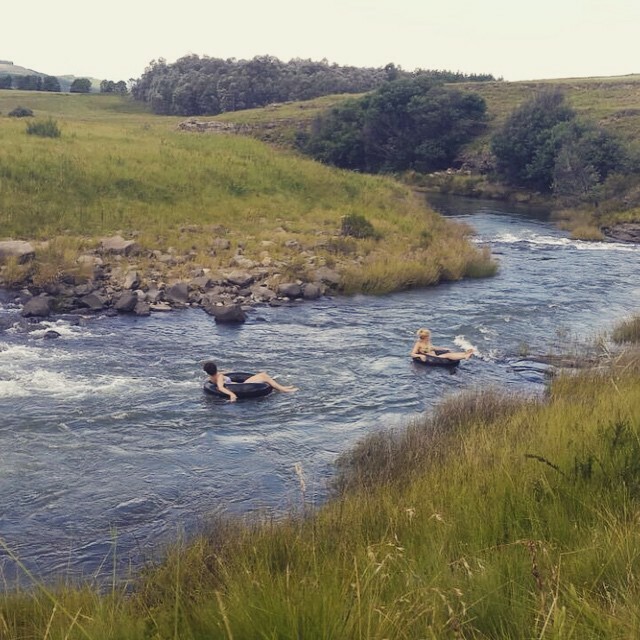 For those seeking out a more rustic type of adventure, Port St. Johns has a lot to offer. We are obviously all very passionate about the beautiful small towns and villages we live in – and South Africa is blessed with many of them. I would have included Stanford in the list – which perhaps cannot be numbered or ordered in any way! This really isn’t a case of sour grapes but rather a subjective opinion: As someone who has visited most of these towns, and agree wholeheartedly with the majority of your choices, I nevertheless believe that De Rust, the town I call home, should have been included in place of at least 3 on this list. Just saying! And Stanford Overberg? Coastal town but inland. Also very good little town and pretty too . 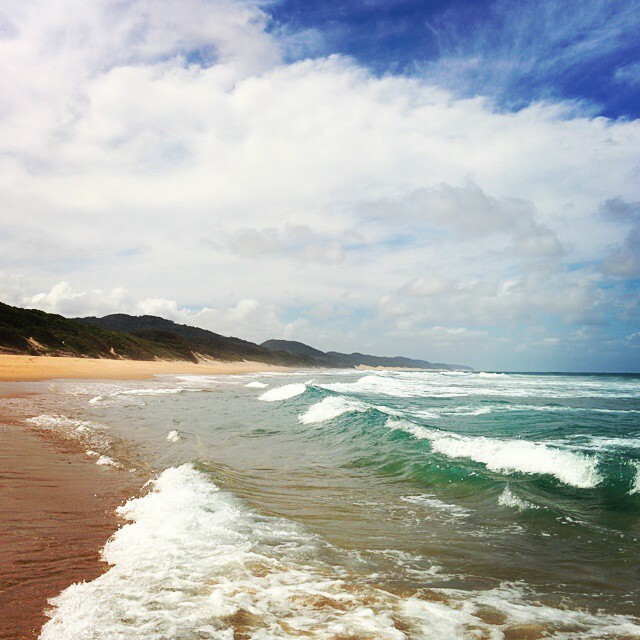 What about morgan bay on the eastern cape?????? Hoekom is Rosendal nie deel nie.Een van die mooiste dorpies met n rustige harmoniese omgewing? whoever compiled this list has not been to Port St Johns recently. would remove it from the list as it has become a dirty, paper/plastic riddled hovel. will definitely not be visiting it again! I would definitely add Hoedspruit to this list! Thank you for the insight! 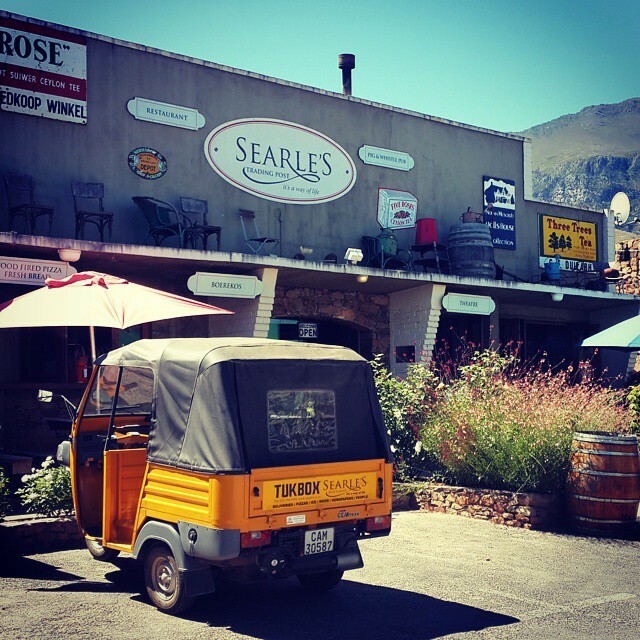 We love leaving Cape Town and drive off to explore and would like to add Stanford, Greyton and Riebeeck-Kasteel is the tops! Beautiful to visit, but I live in one of these small towns and the saying…. ‘if you dont know what you are doing, someone else does’ rings true. If you are thinking of moving to a small town, move for the place, not the people…otherwise you will be disappointed. 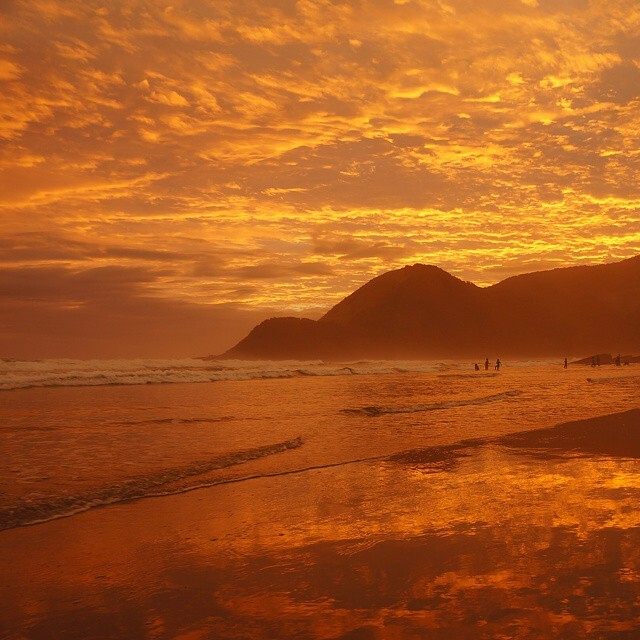 The header image was taken at Garden Route National Park, which we’ve listed under number 25, Wilderness. We felt Knysna couldn’t really be considered a ‘small town’, but we certainly agree that it’s a truly marvelous place! Interesting how many of these are in the WESTERN CAPE province. Best run province in the country. Kaapsche Hoop should be right up there! Please come and visit Pennington/ south coast. A beautiful undiscovered gem at the sea. What about Hermanus? We have got some of the most beautiful views , southern right whales giving birth here in our bay every year ? 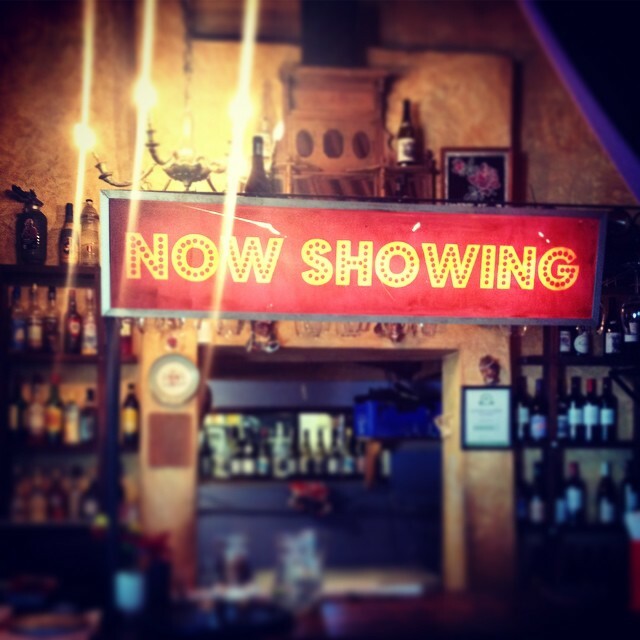 We have great restuarants like lemon butta , La Pentola witch offers a great array of international cuisine. Of the finest in hermanus overlooking the bay? Just wondering why there is a picture of Knysna in the title but it isn’t mentioned of one of the top25 small towns. Explanation please?